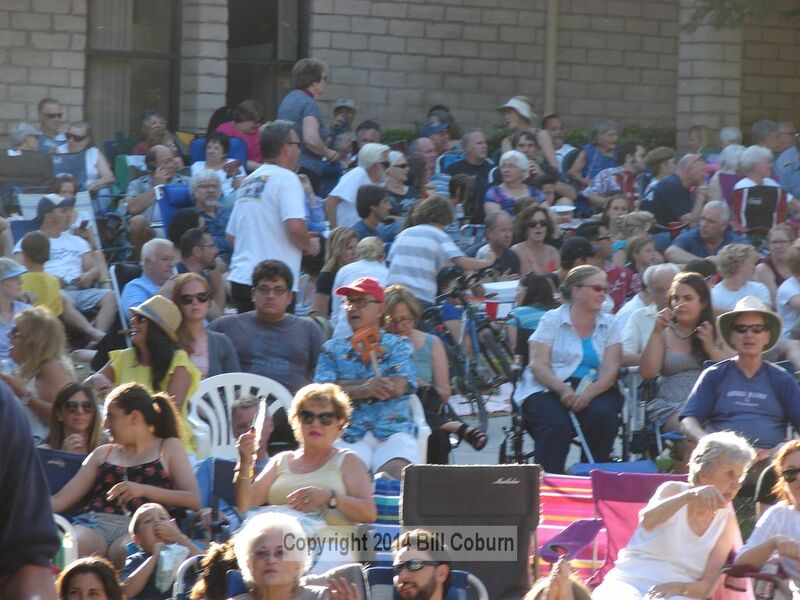 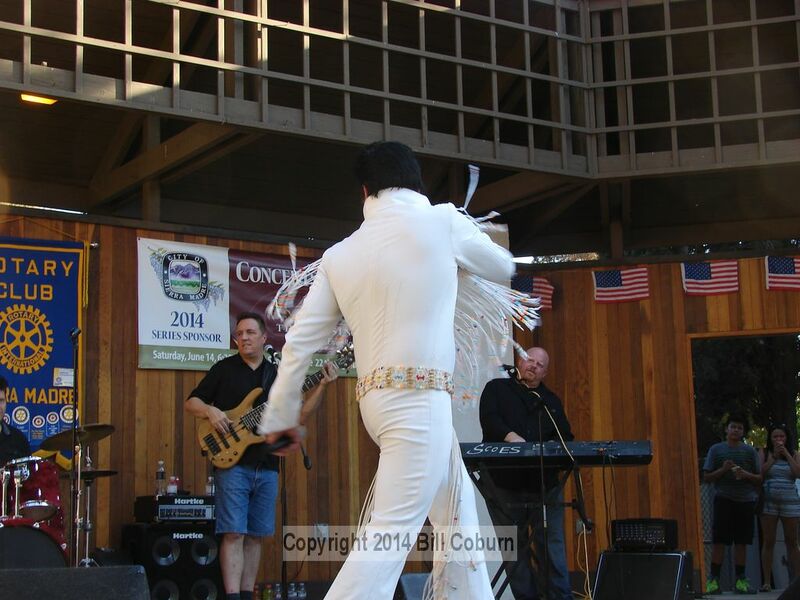 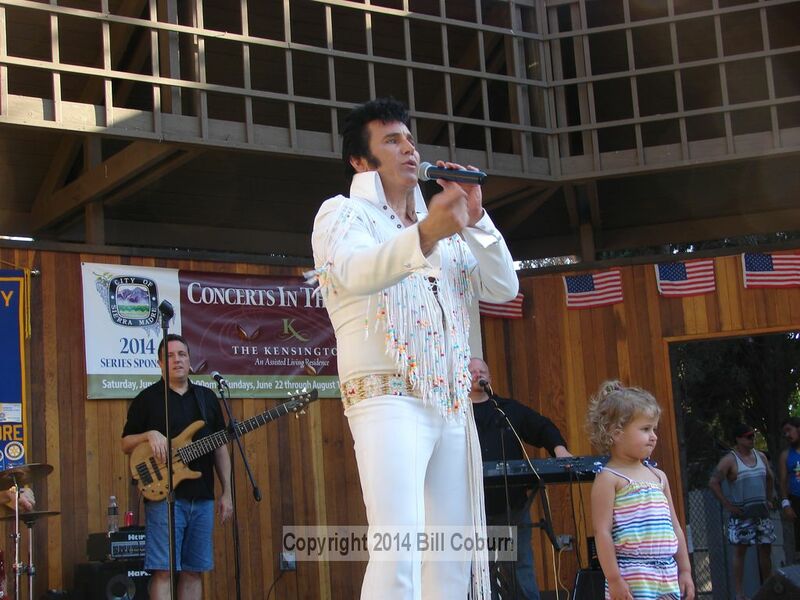 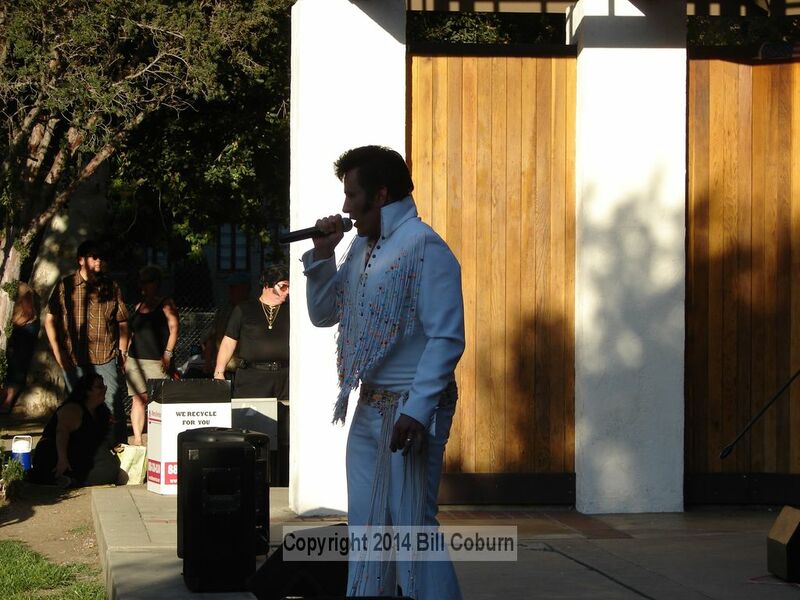 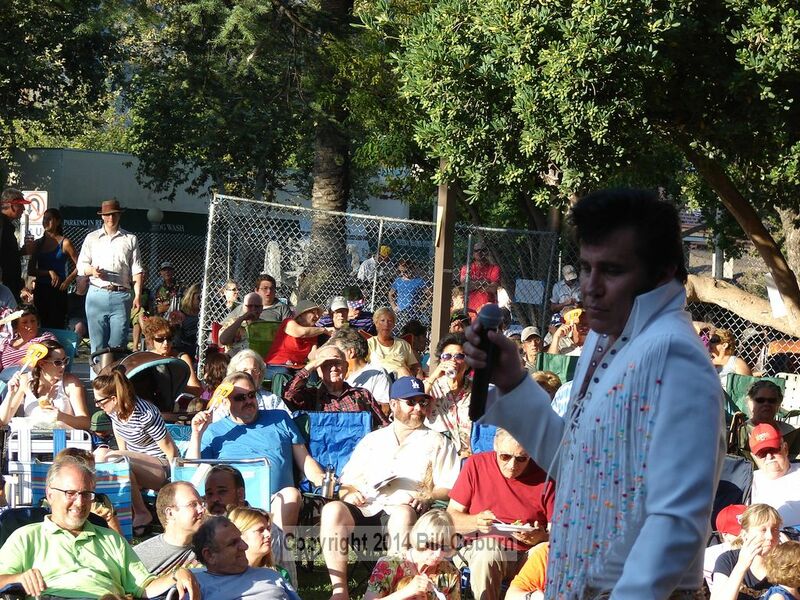 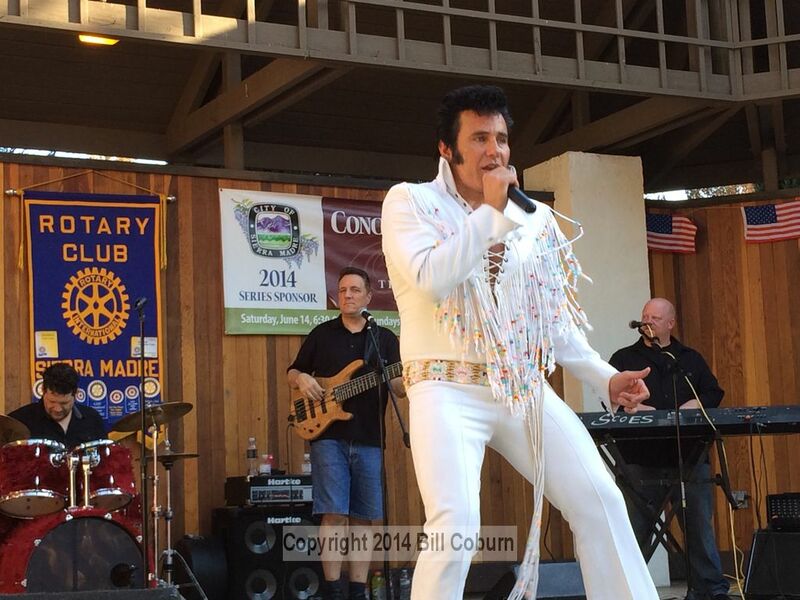 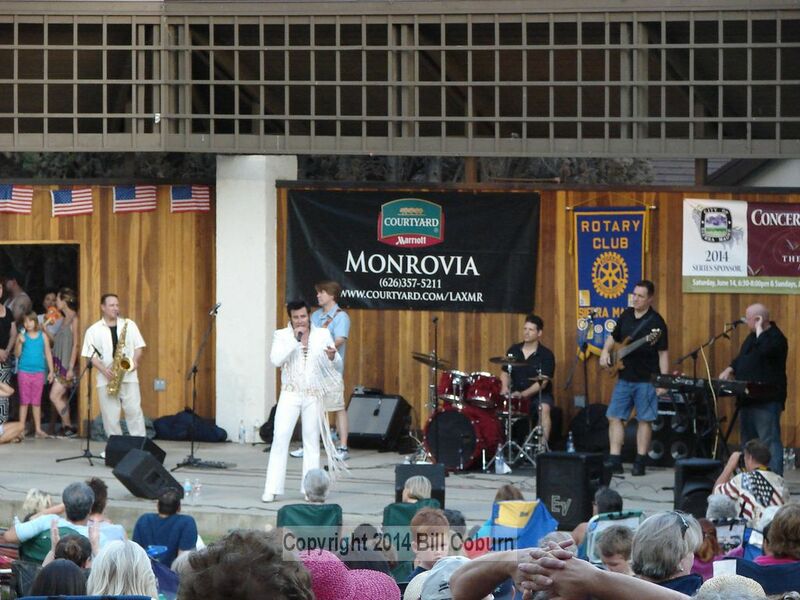 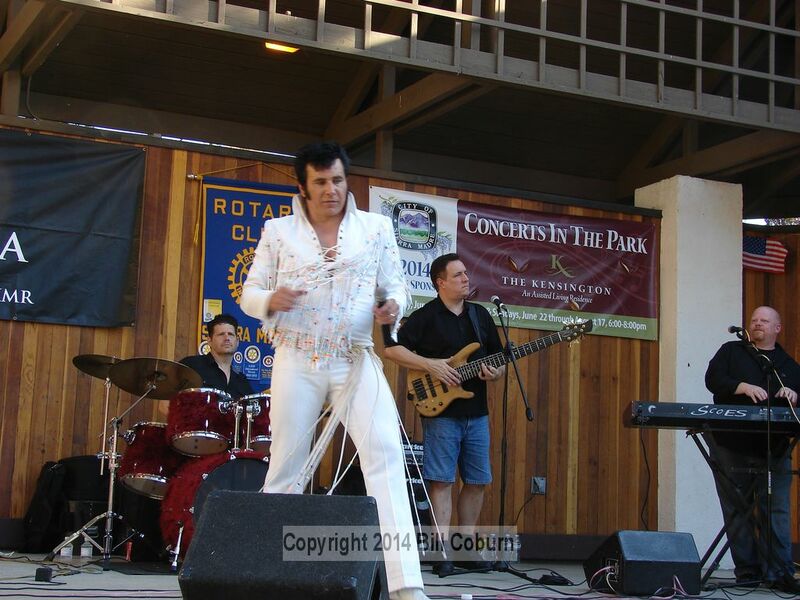 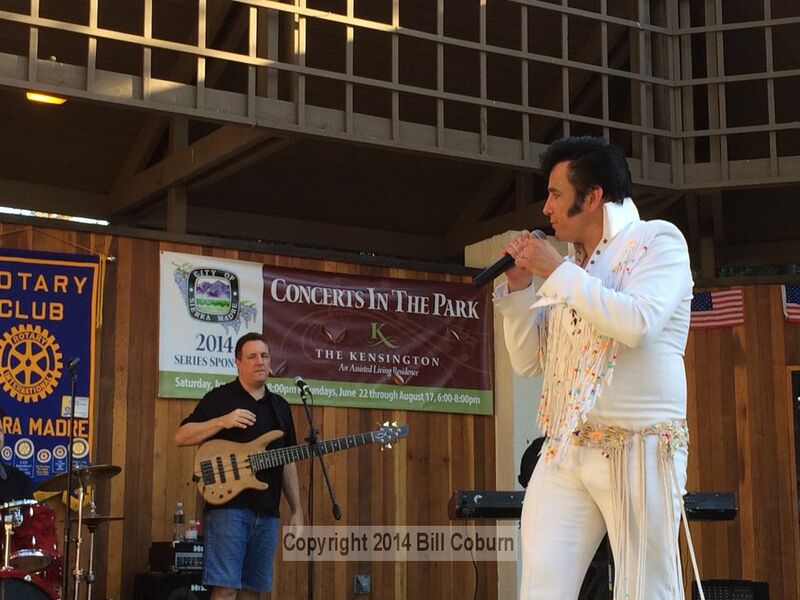 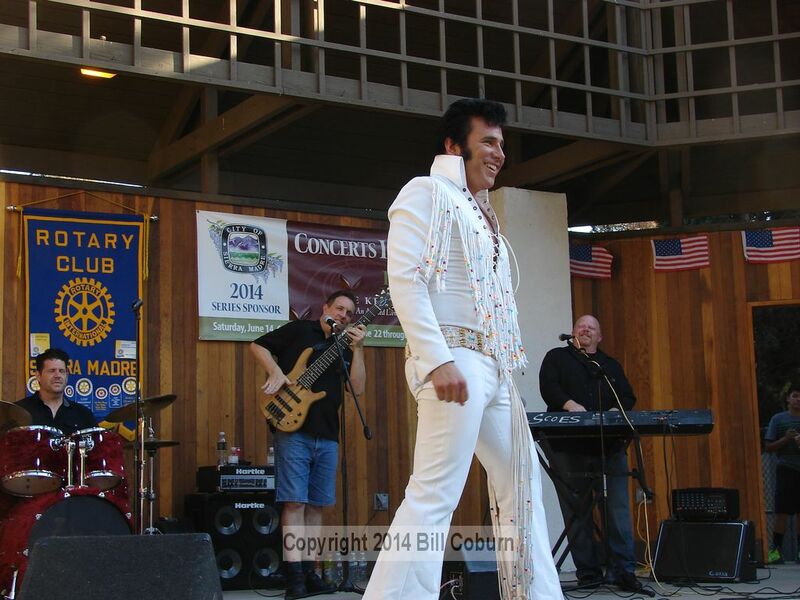 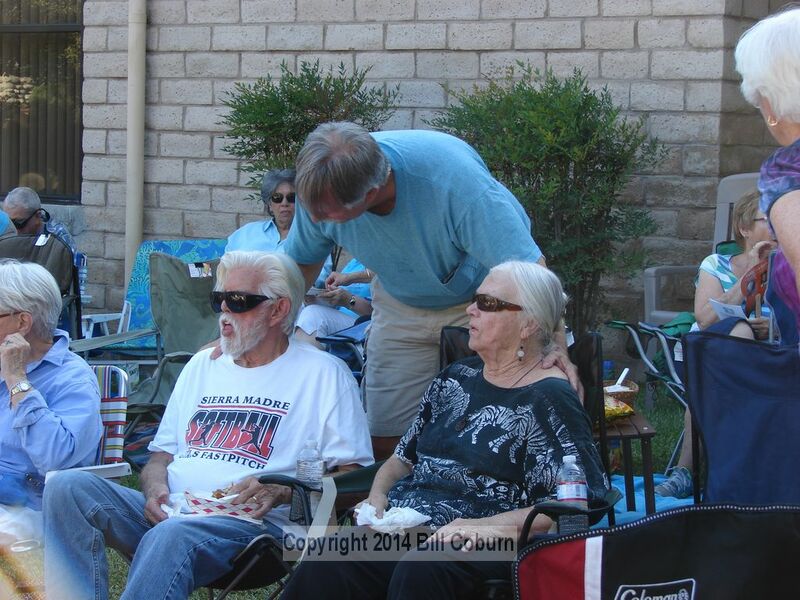 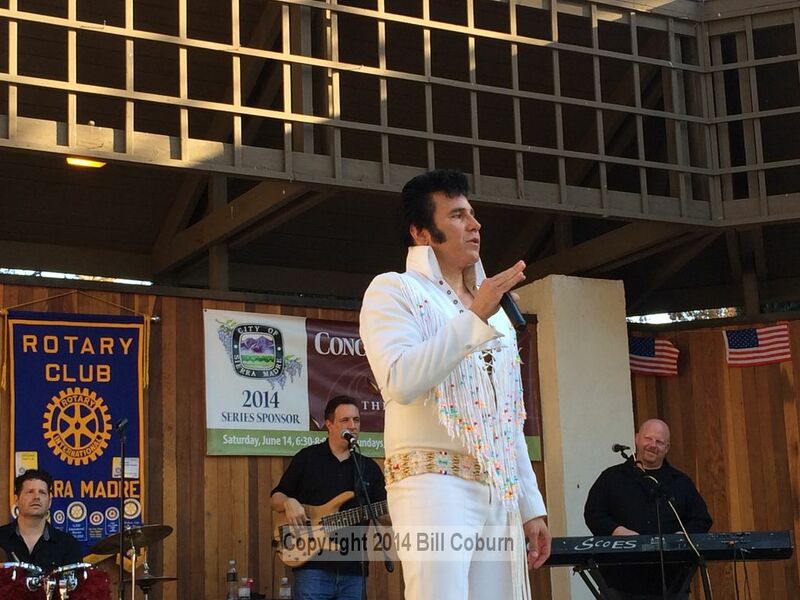 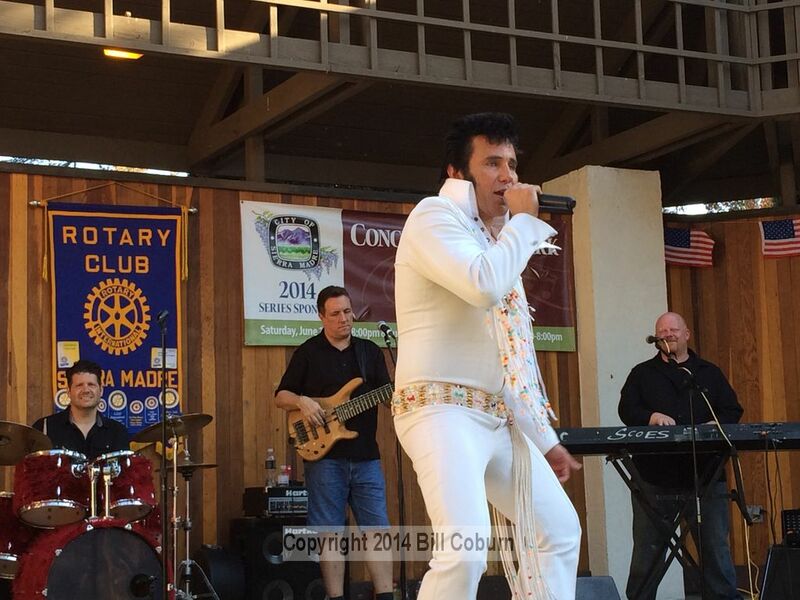 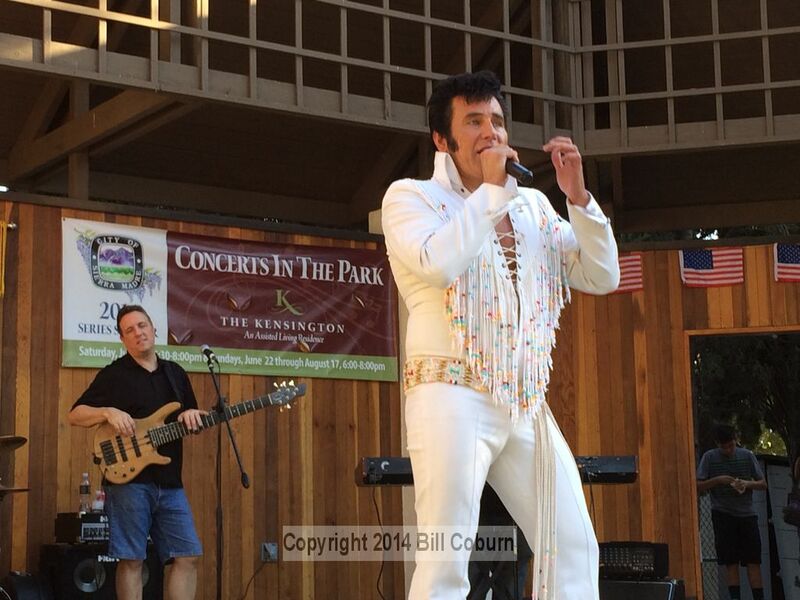 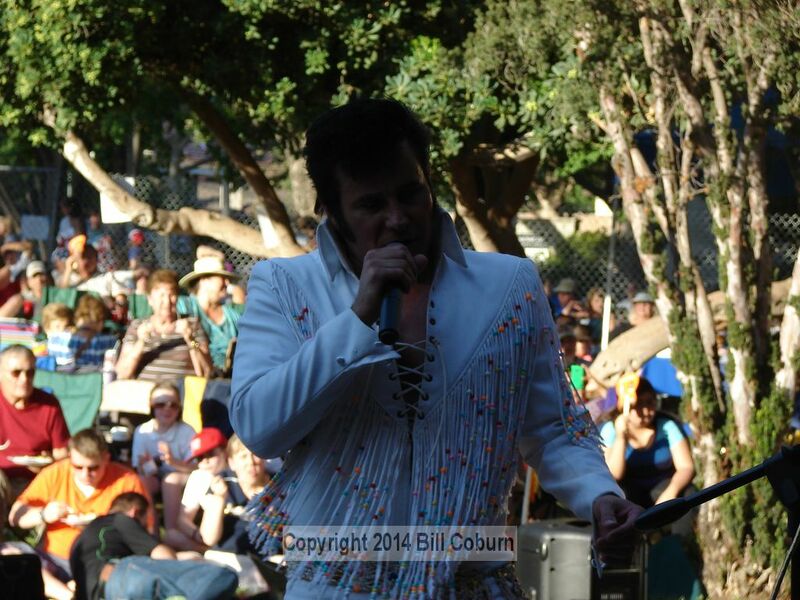 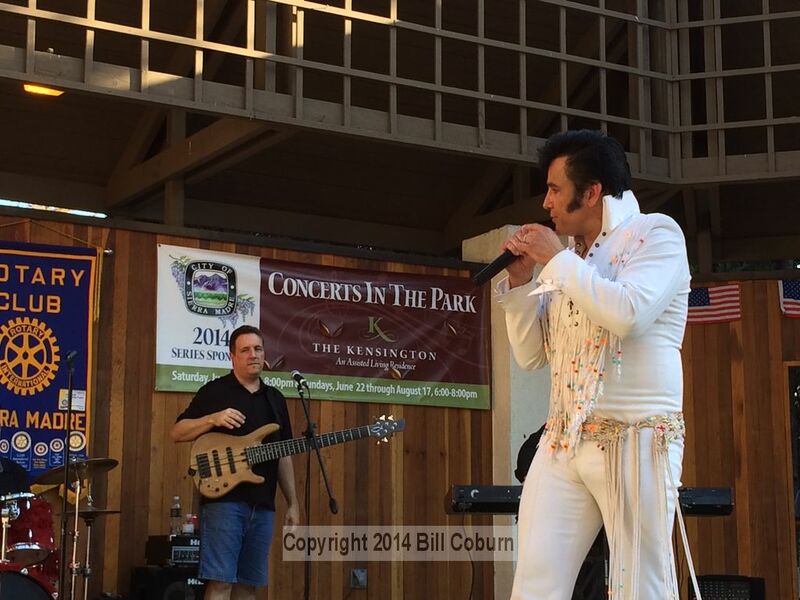 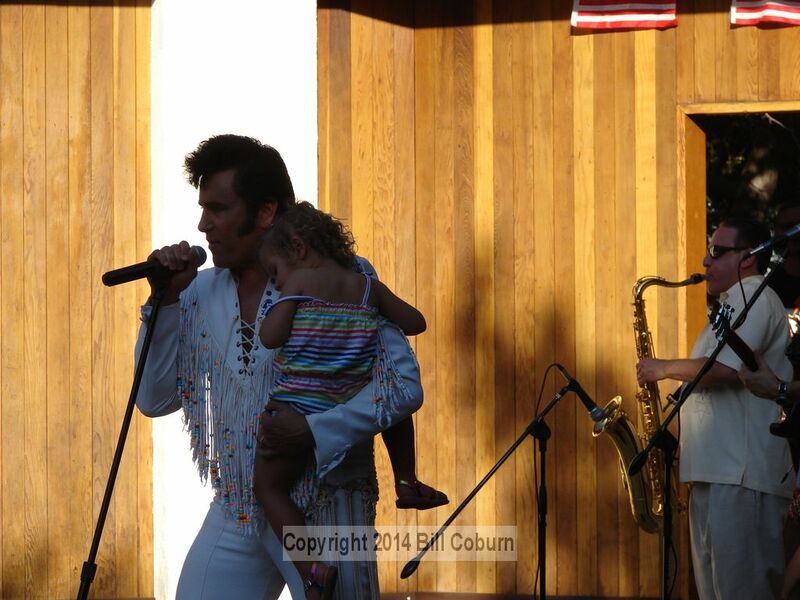 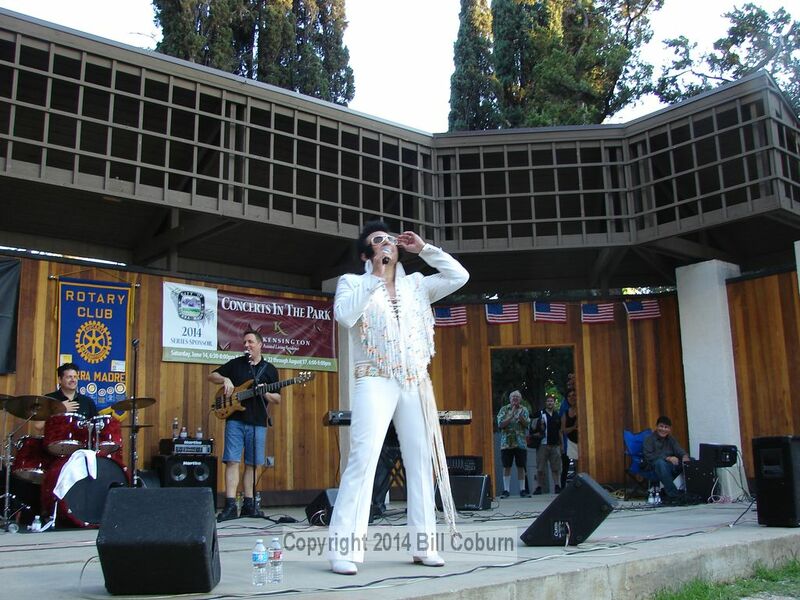 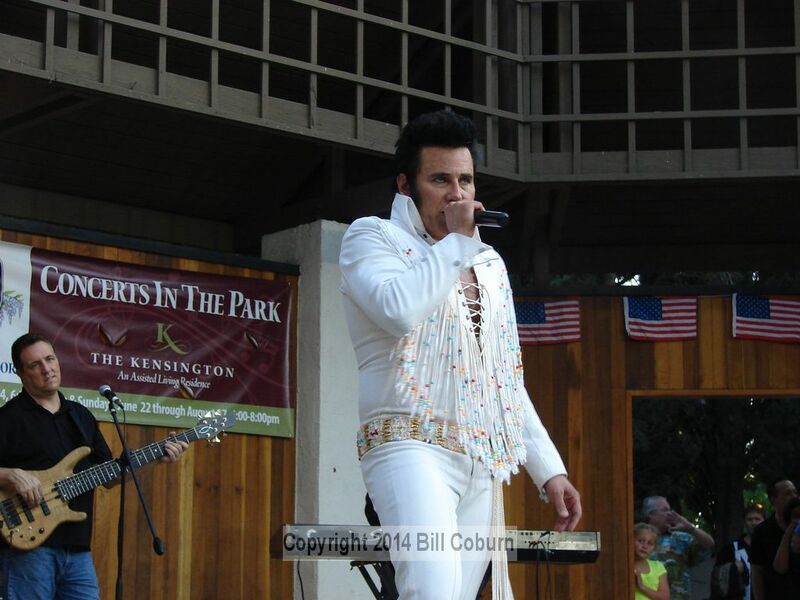 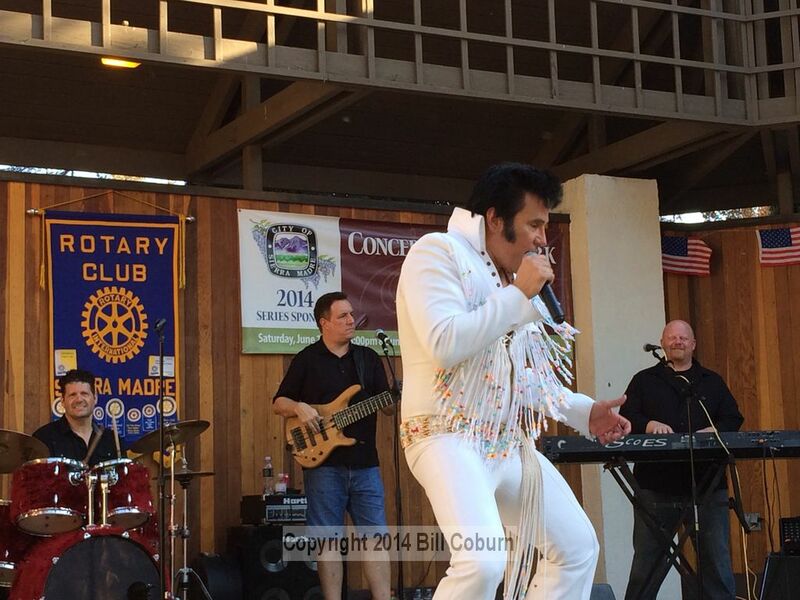 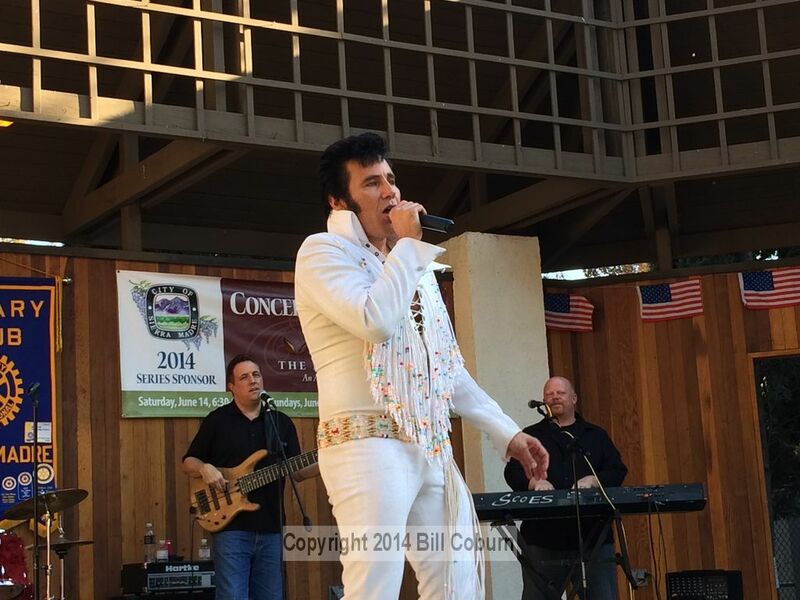 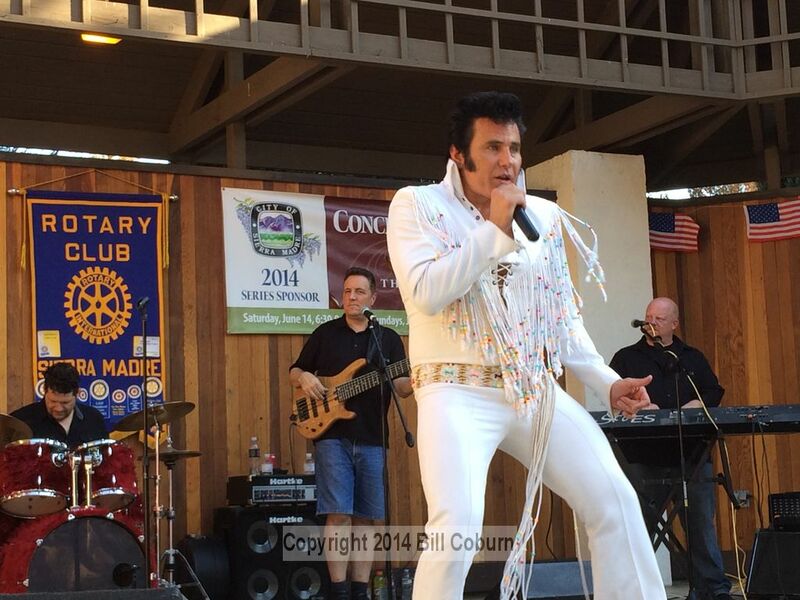 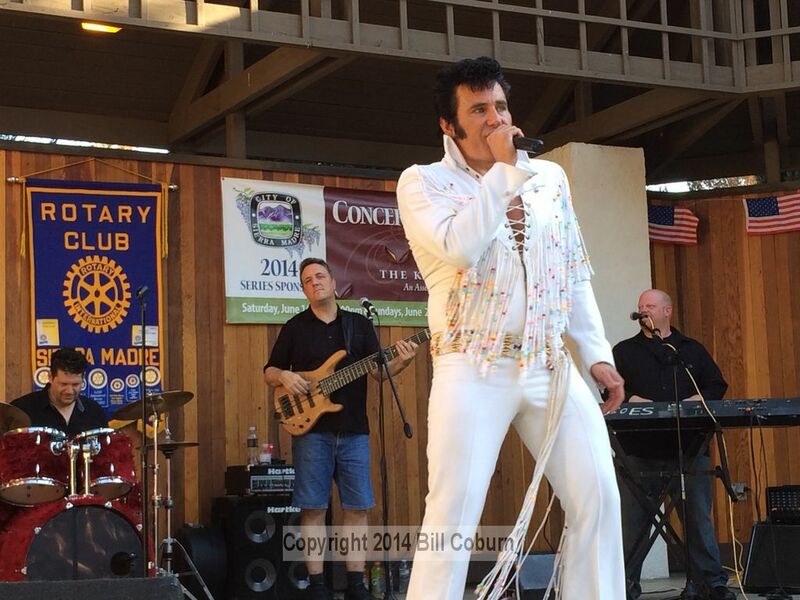 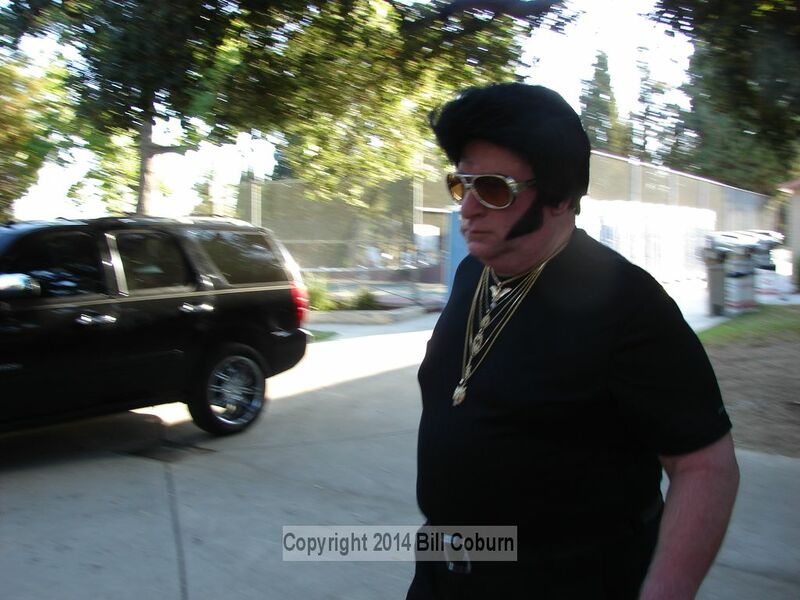 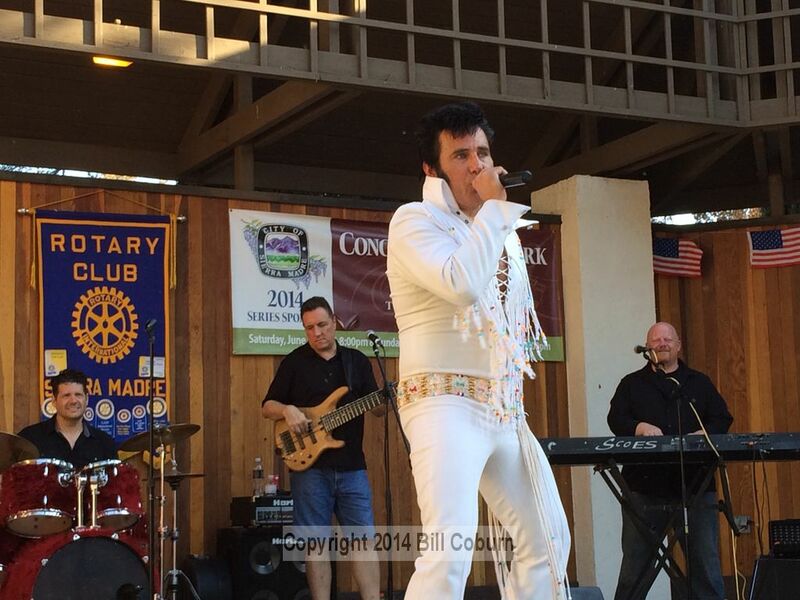 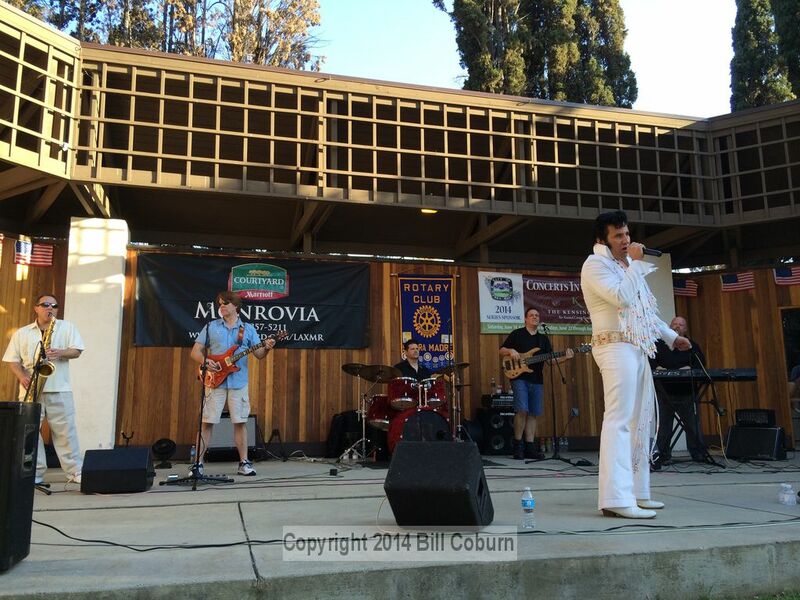 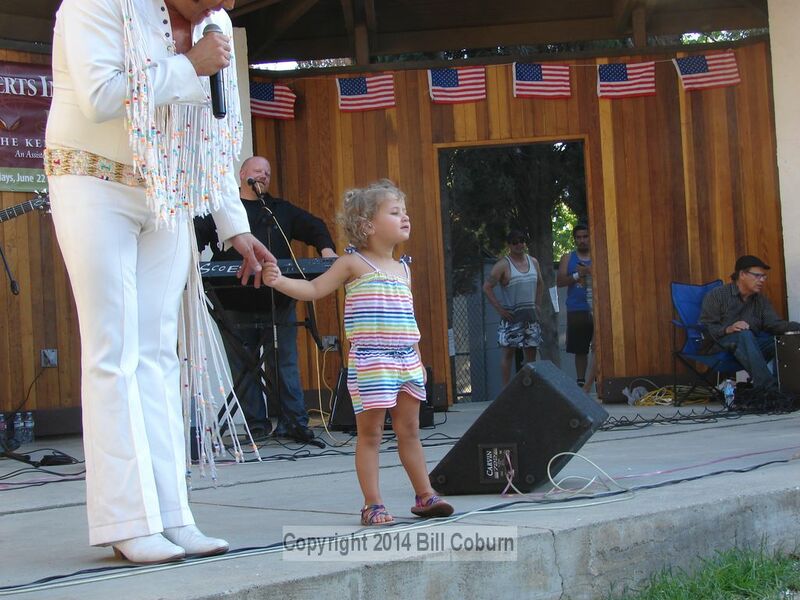 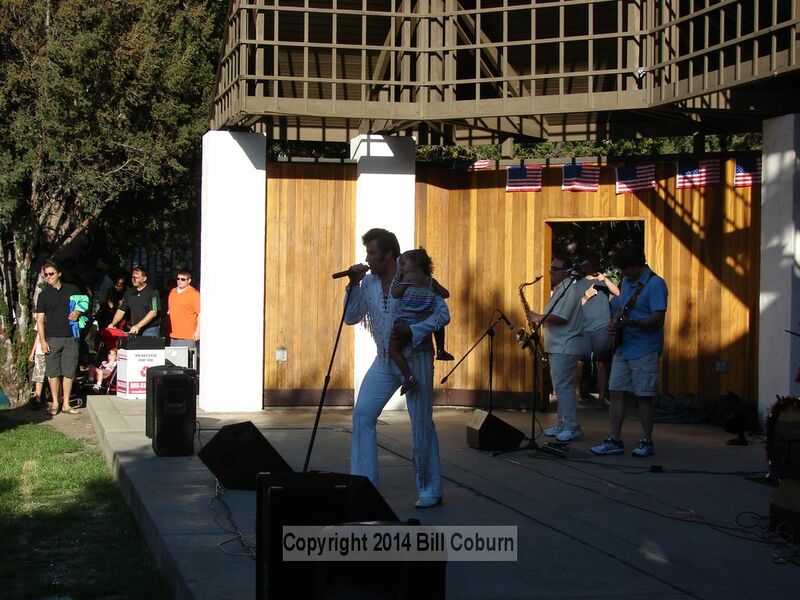 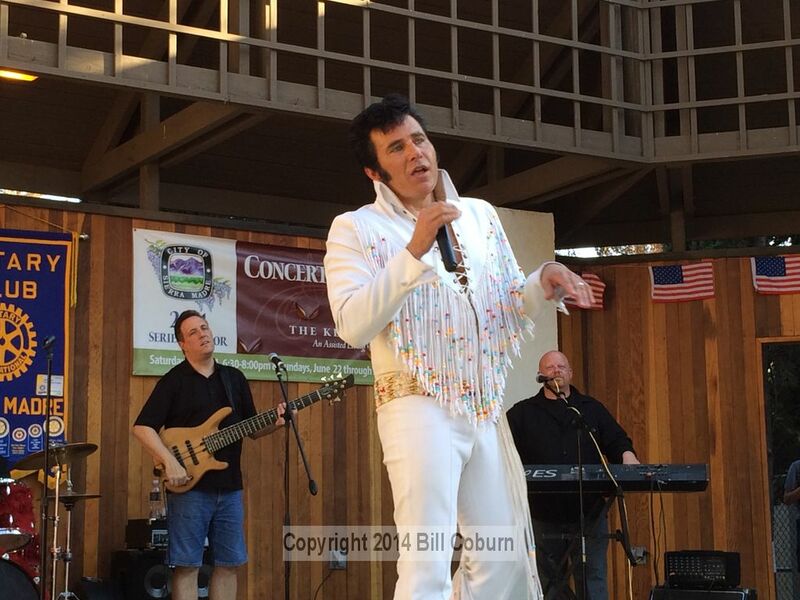 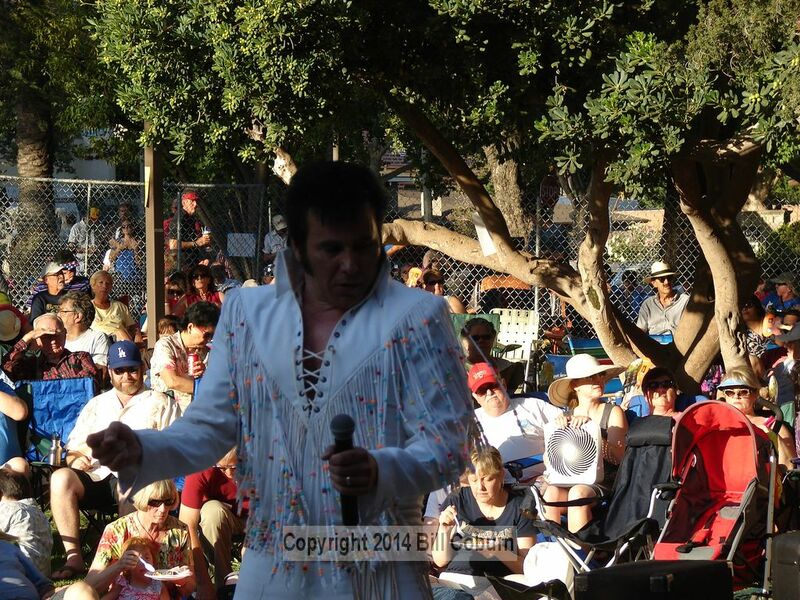 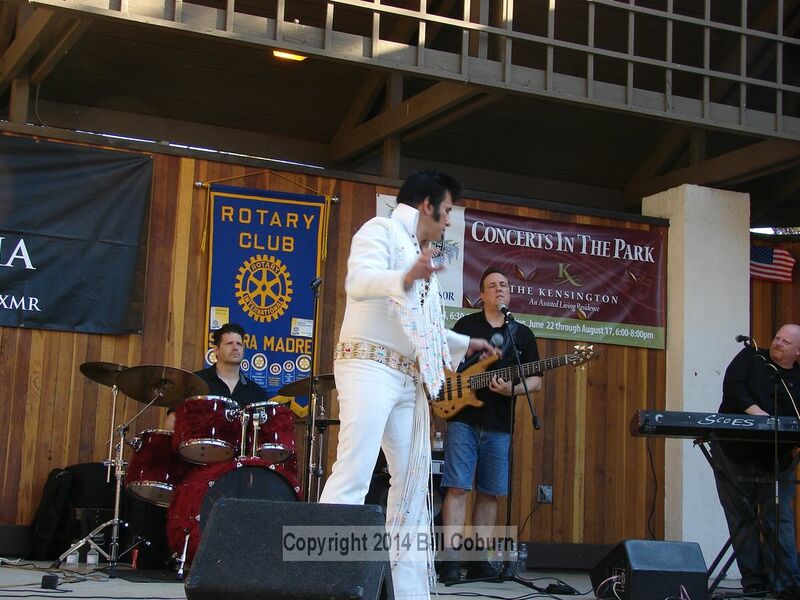 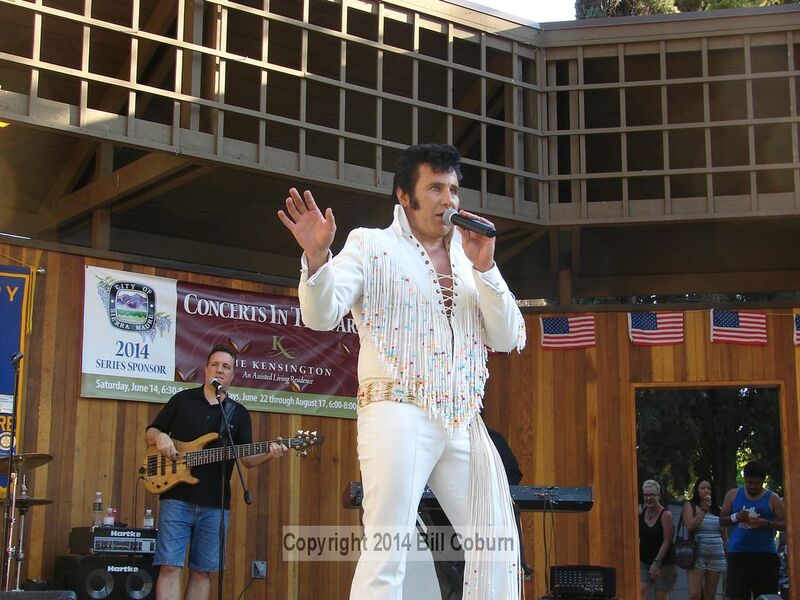 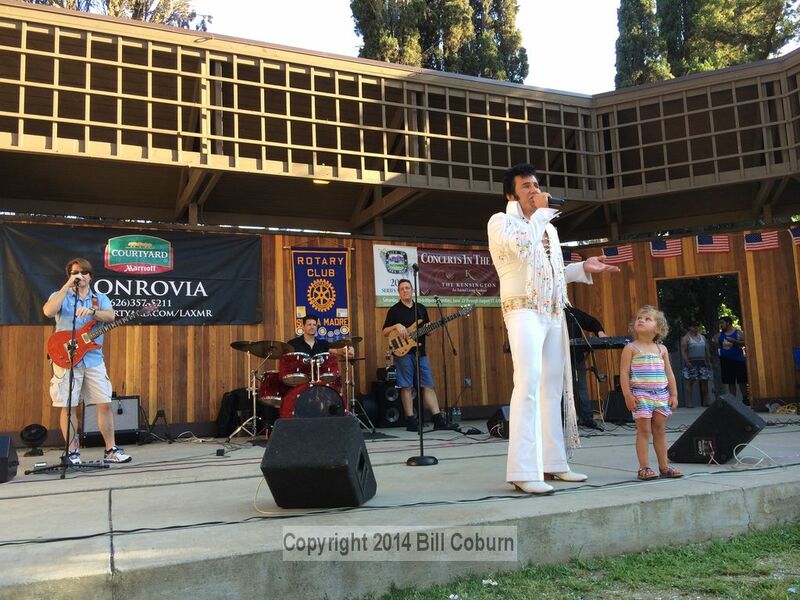 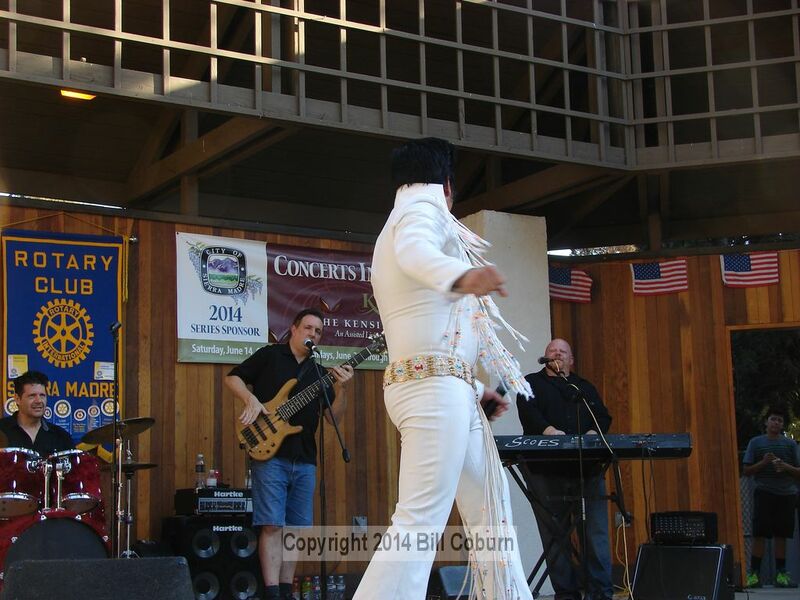 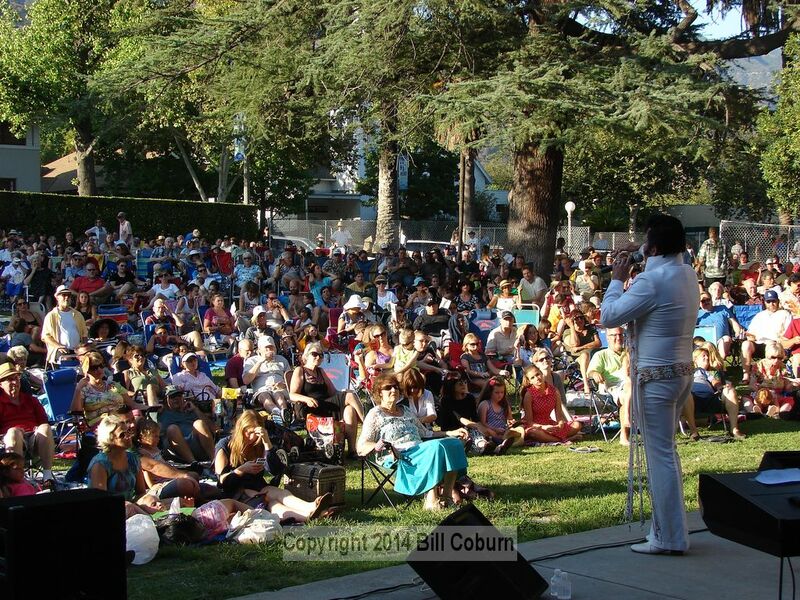 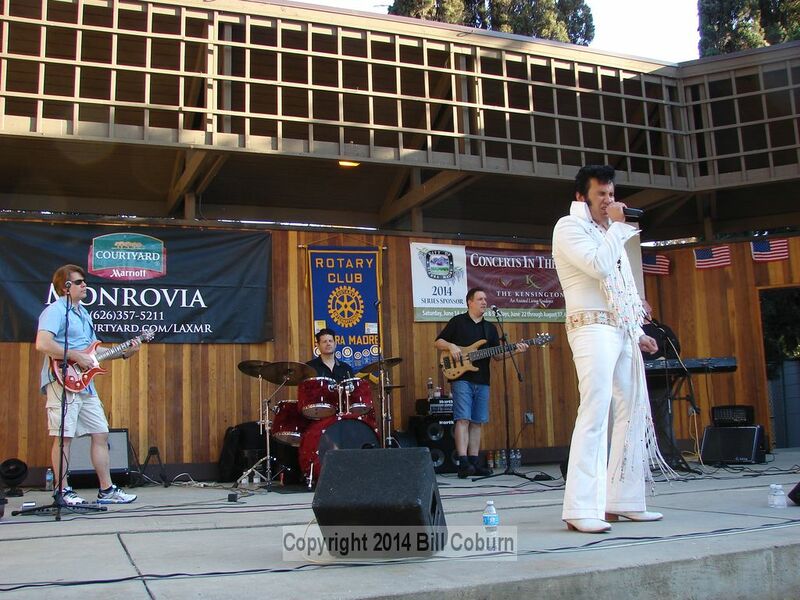 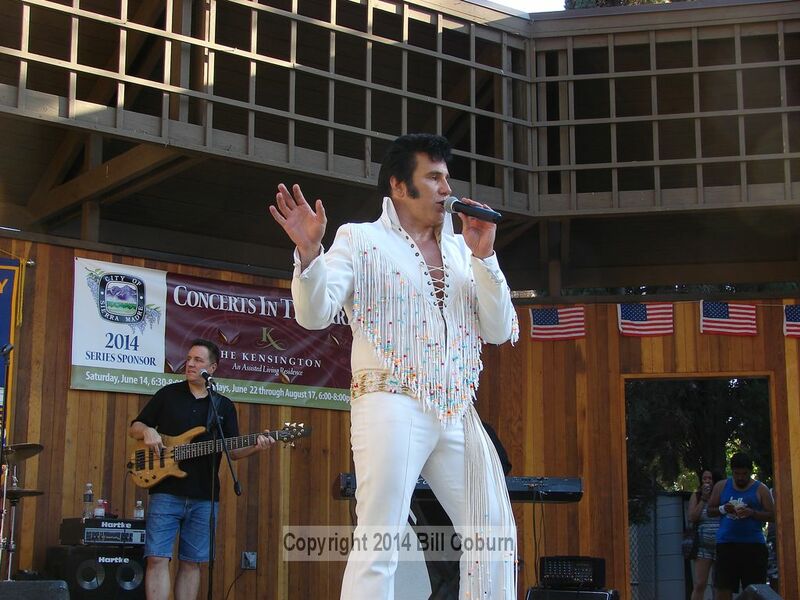 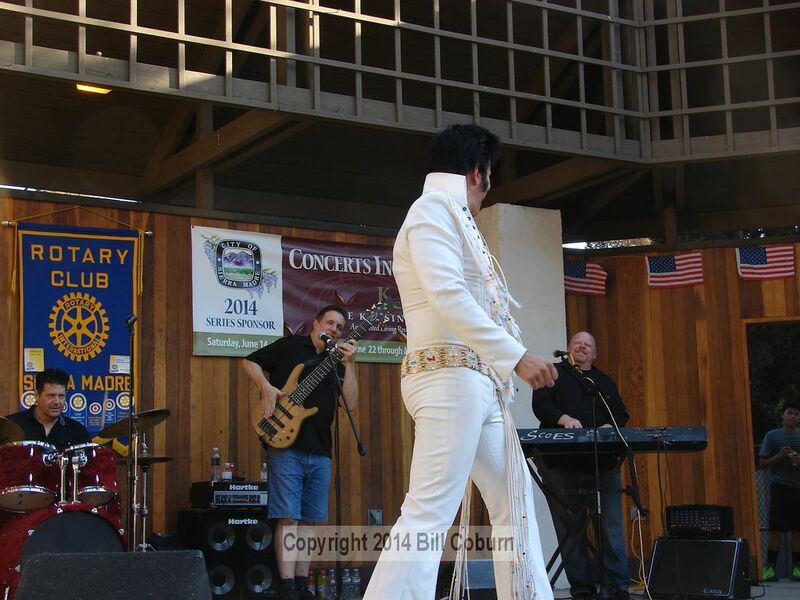 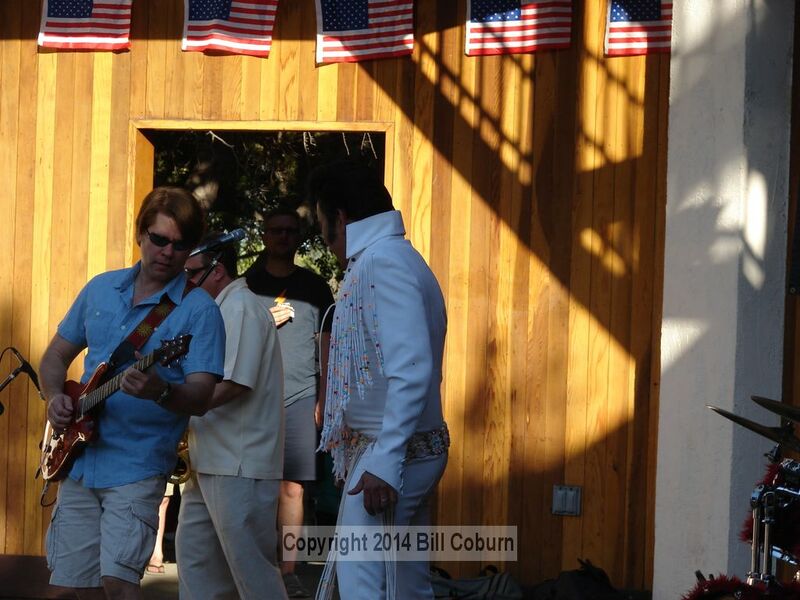 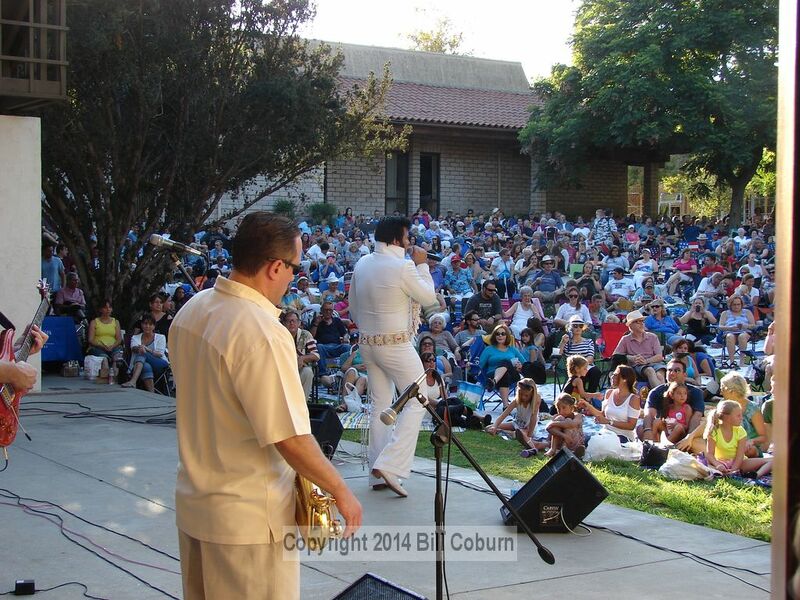 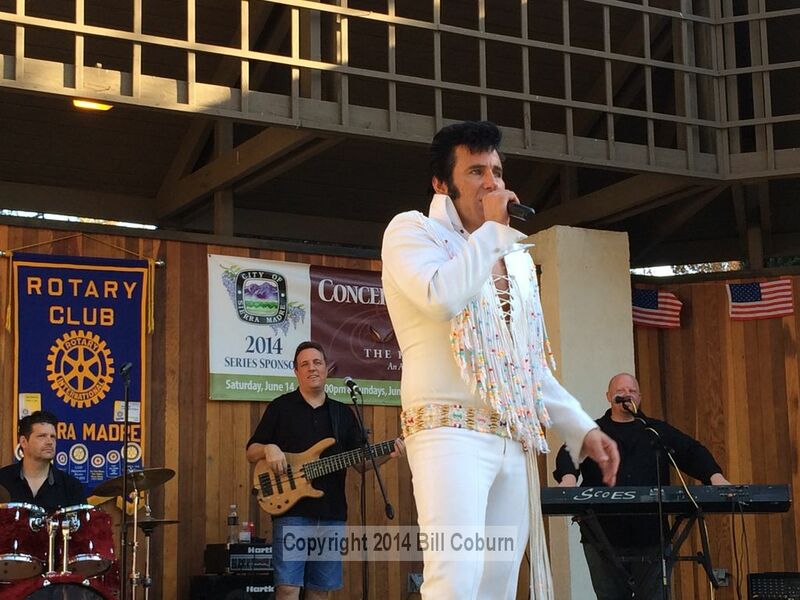 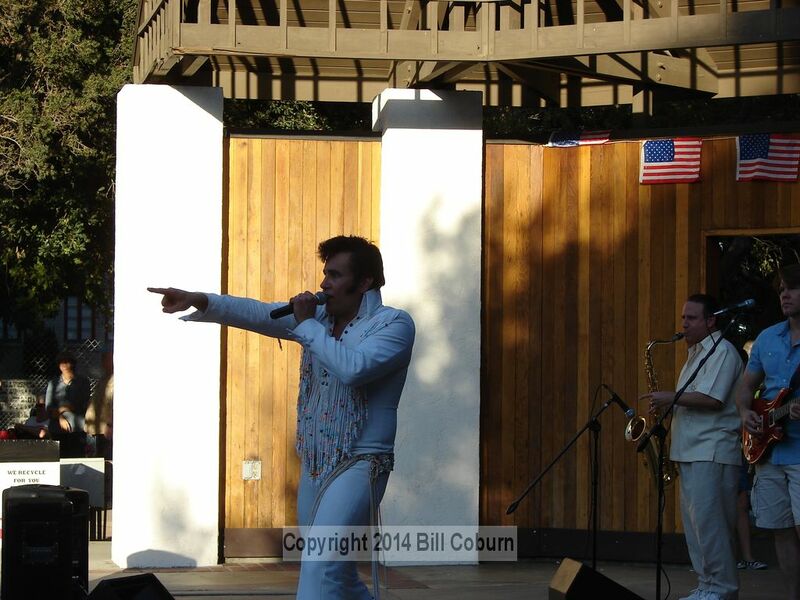 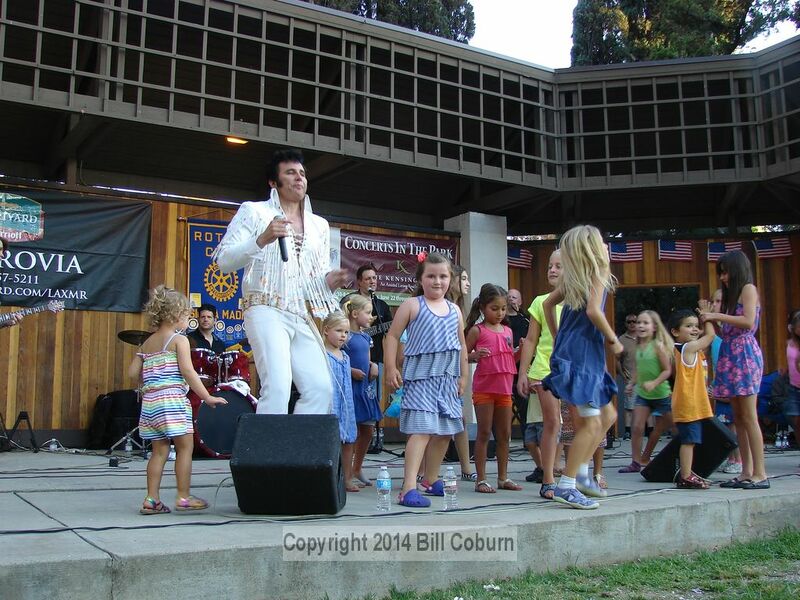 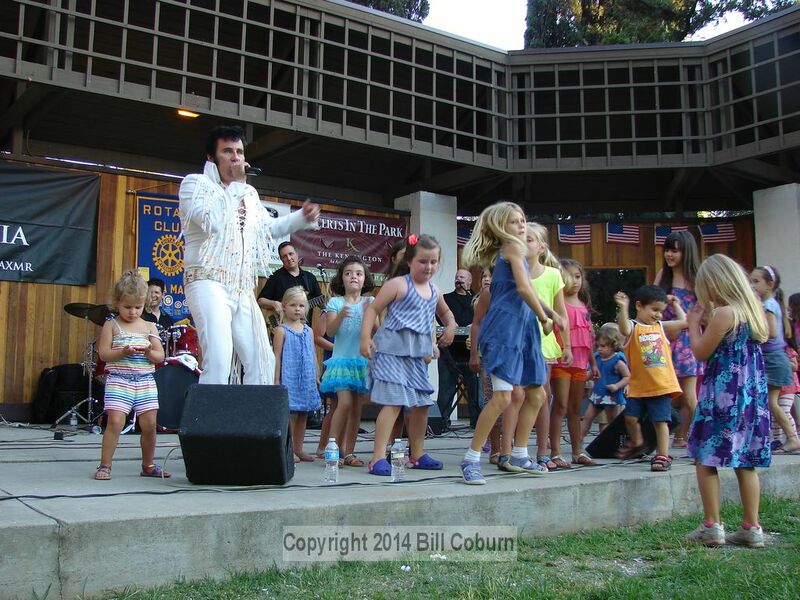 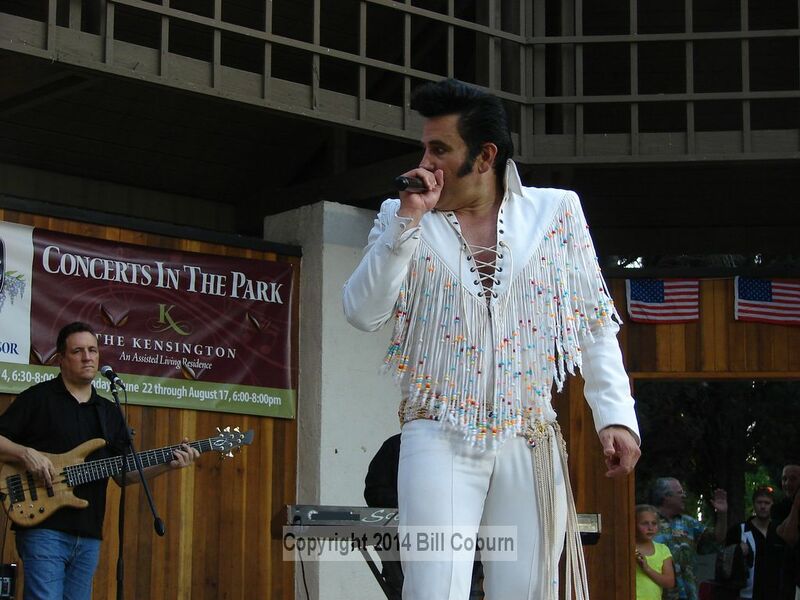 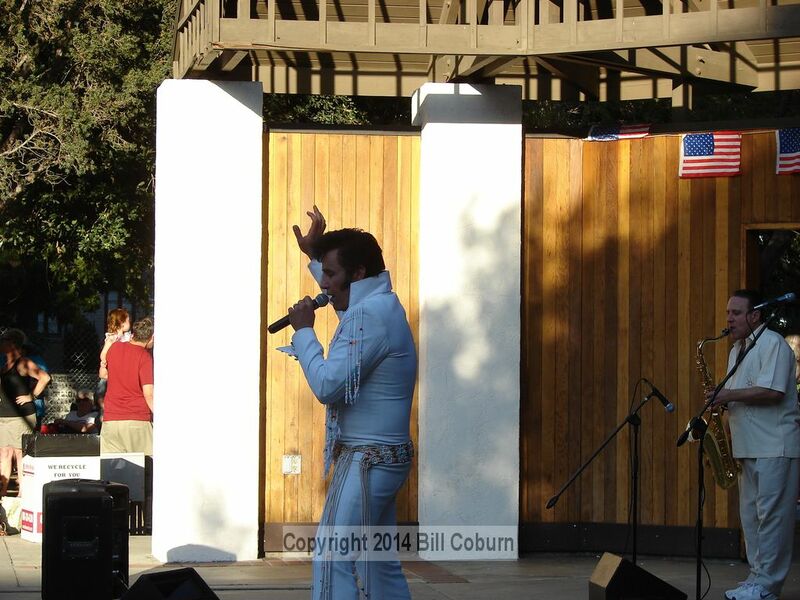 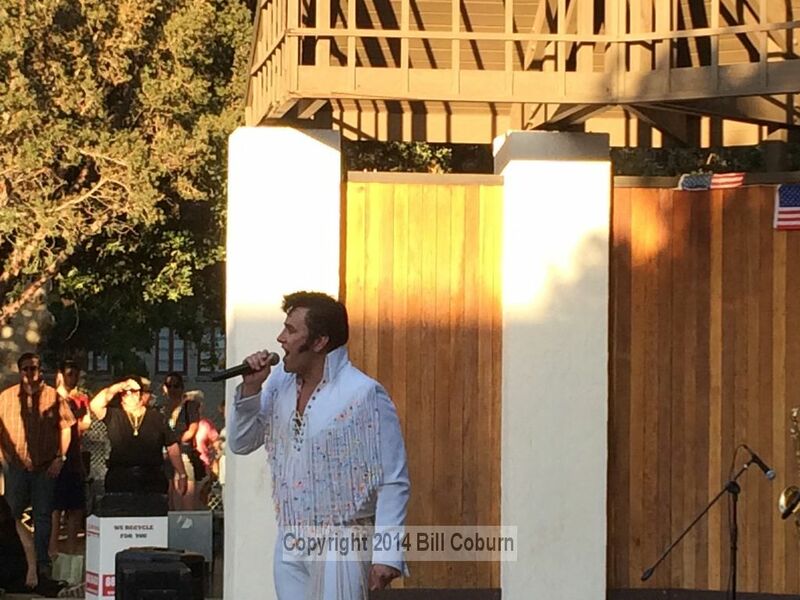 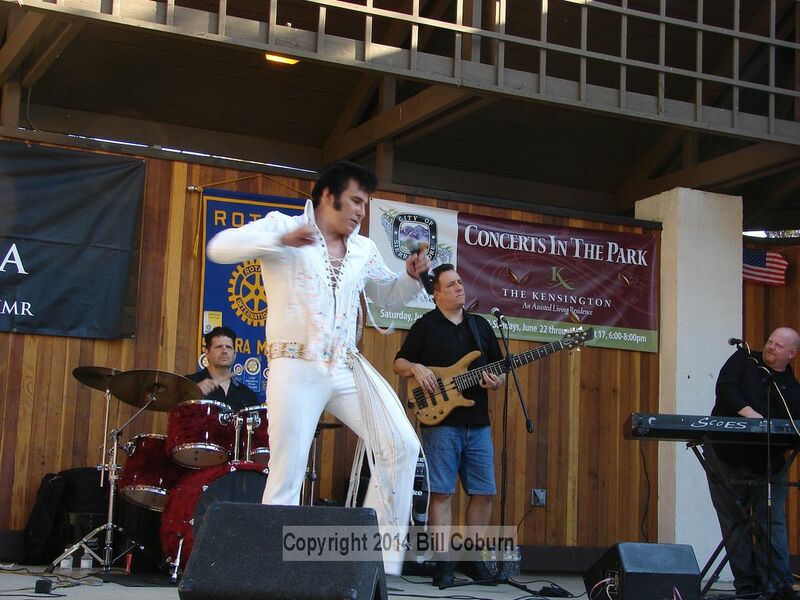 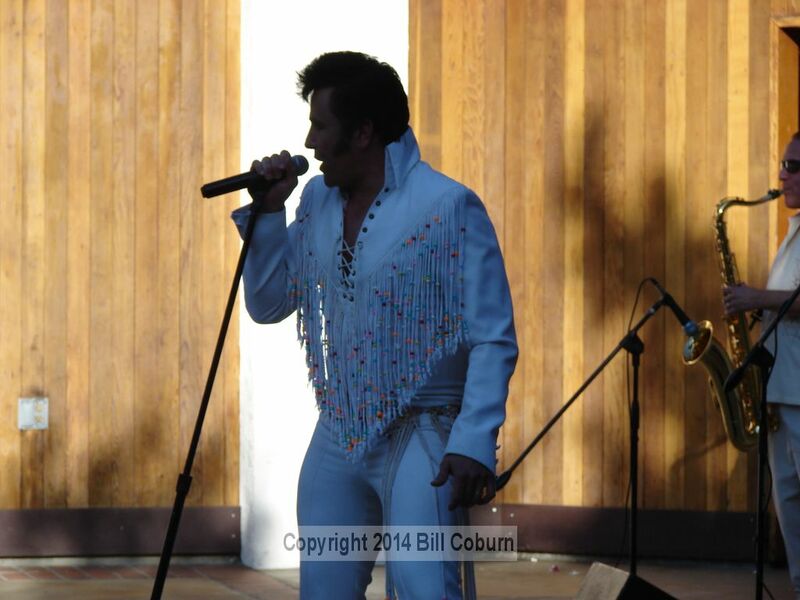 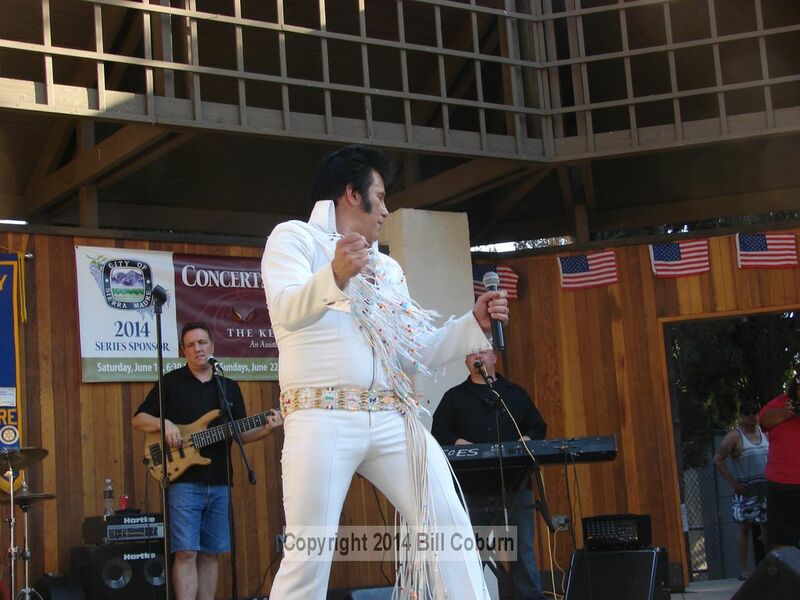 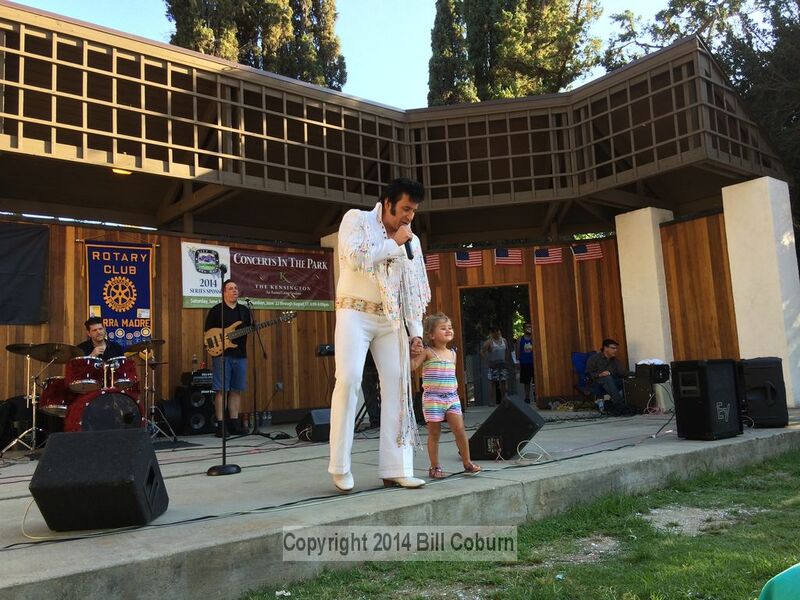 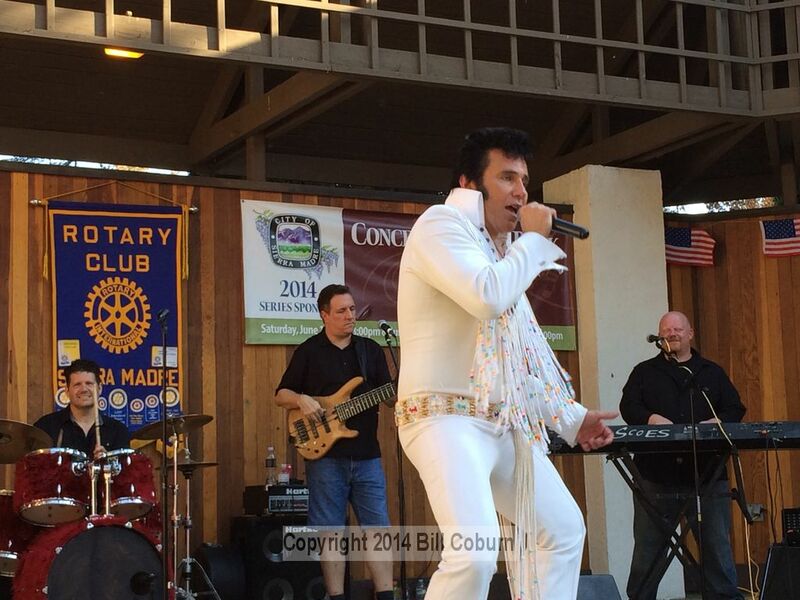 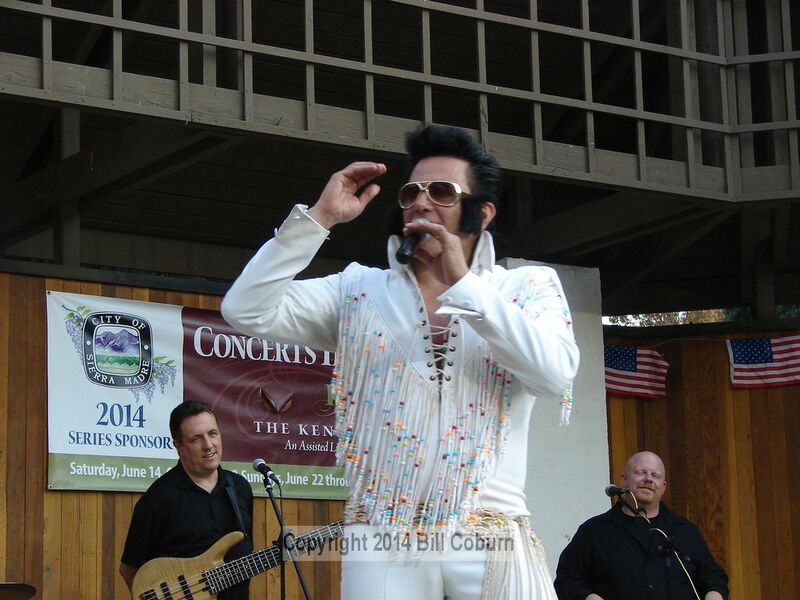 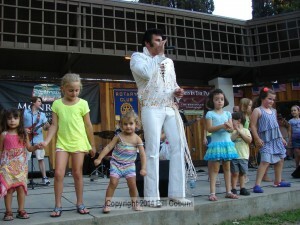 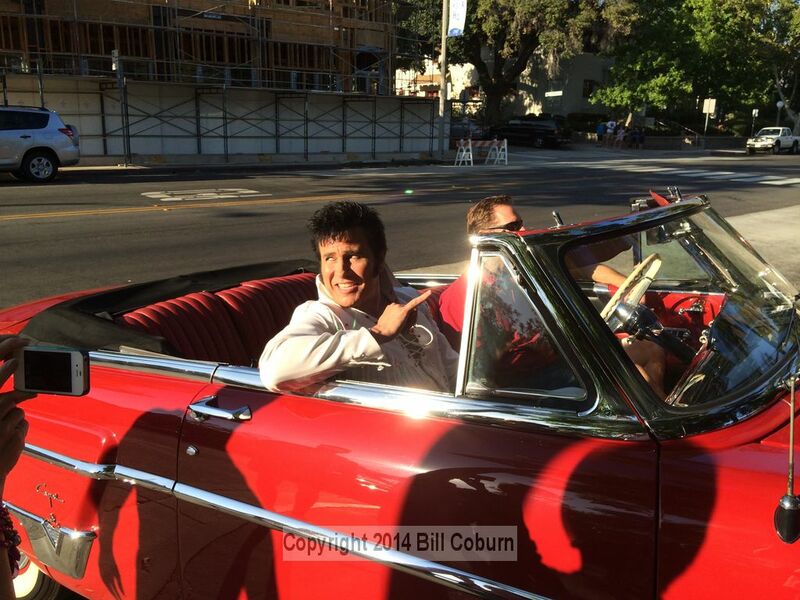 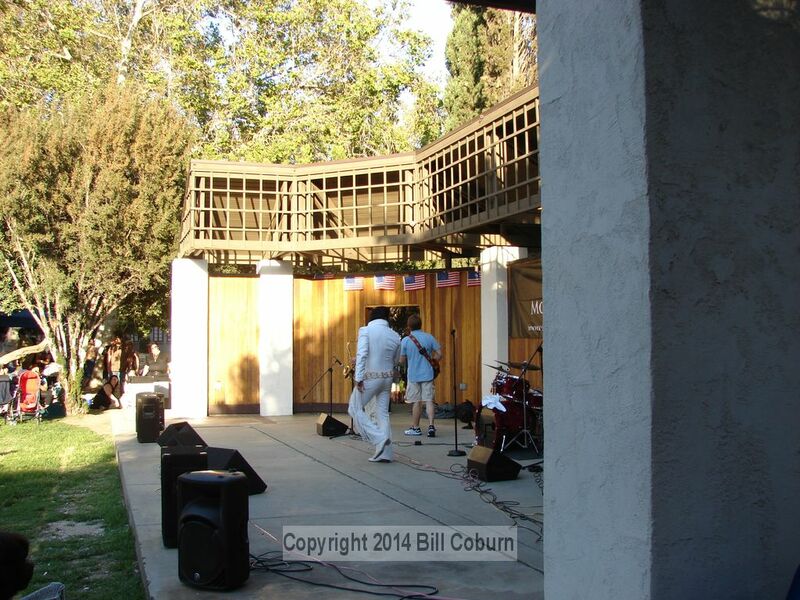 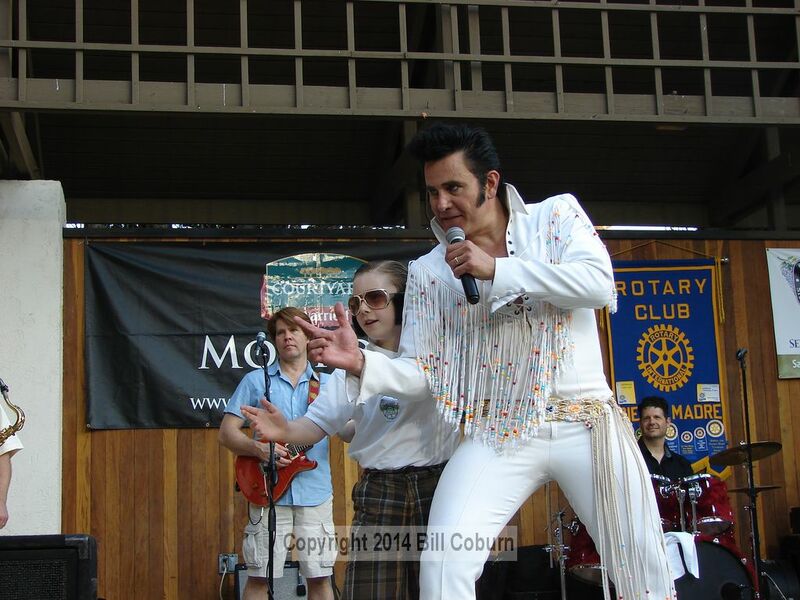 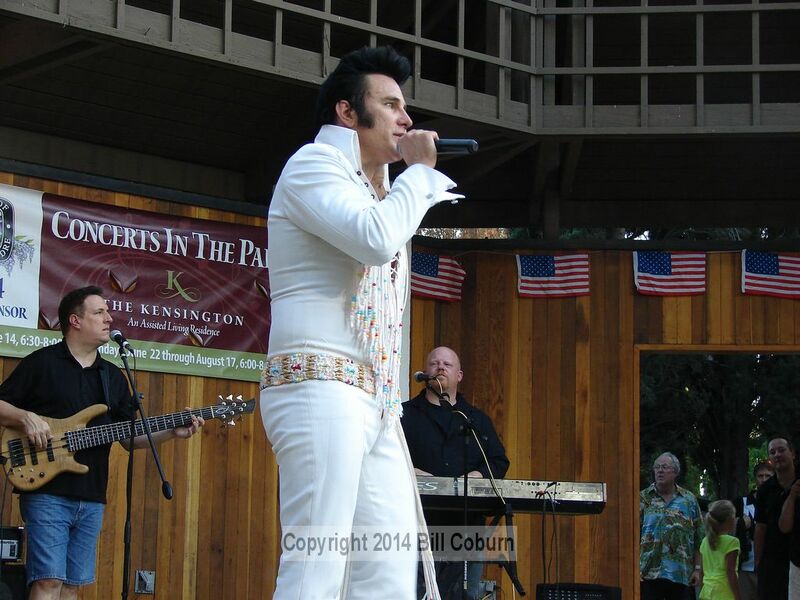 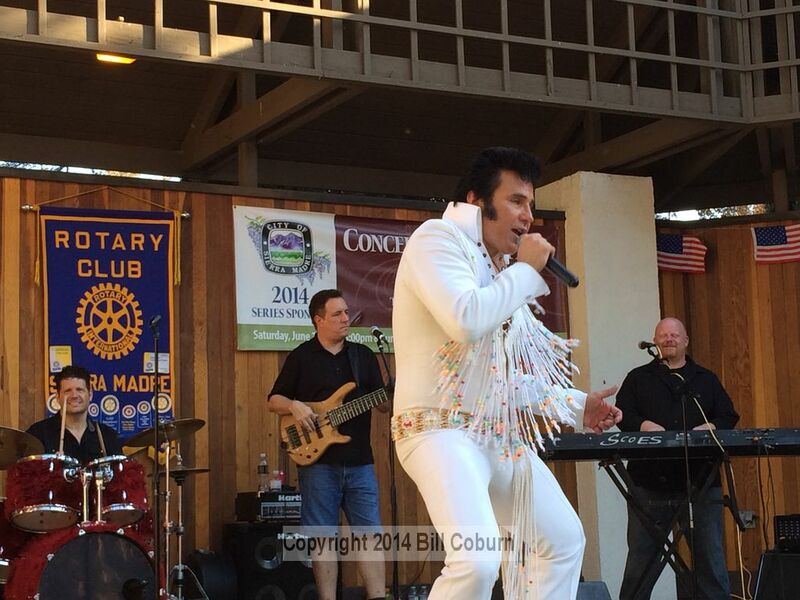 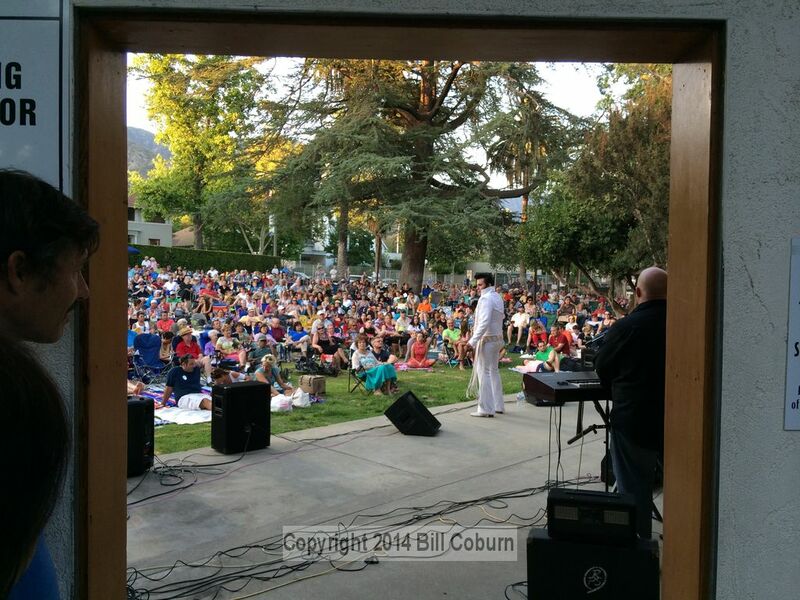 Posted 7/10/14 – Harry Shahoian, who grew up in Sierra Madre and now performs in Las Vegas at the Golden Nugget and the Flamingo as Elvis, returned to Sierra Madre Sunday night to a packed Memorial Park. 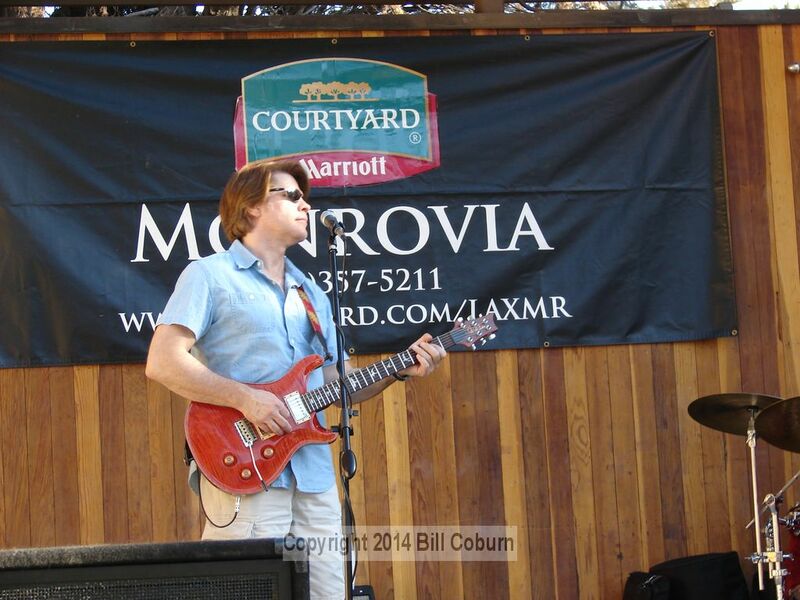 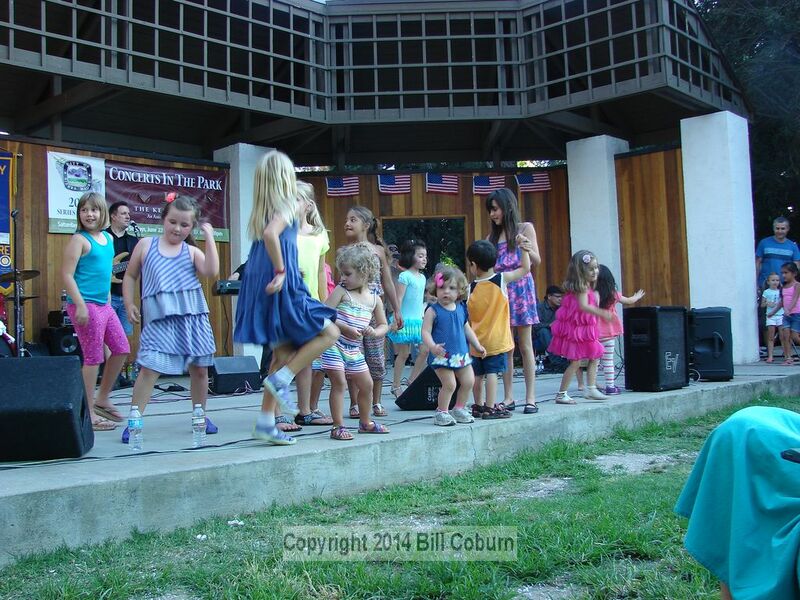 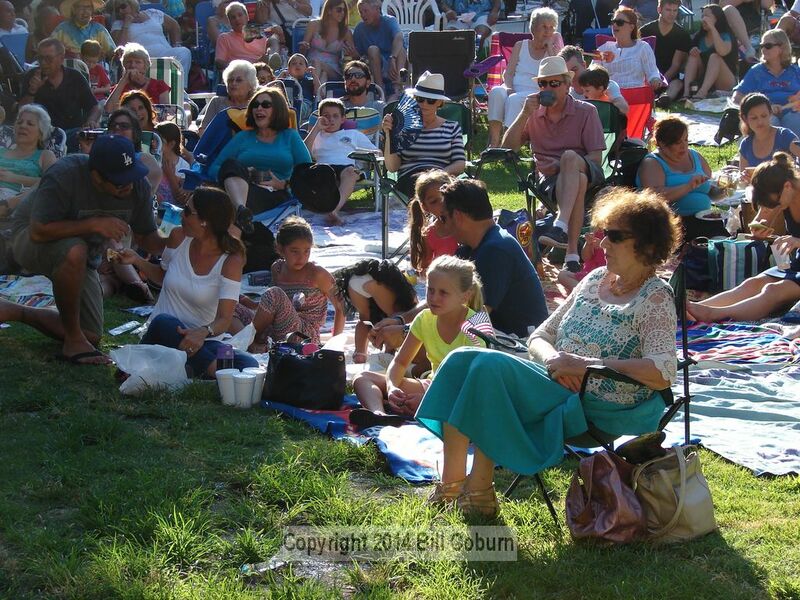 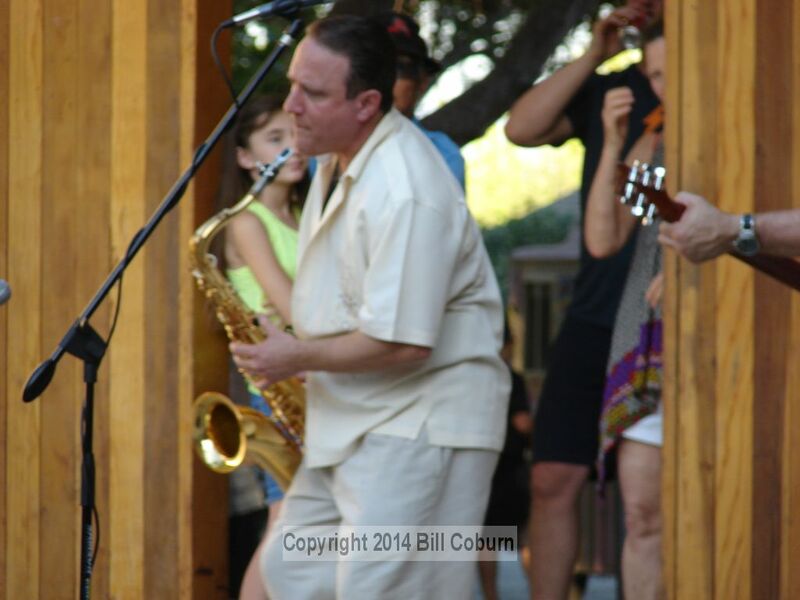 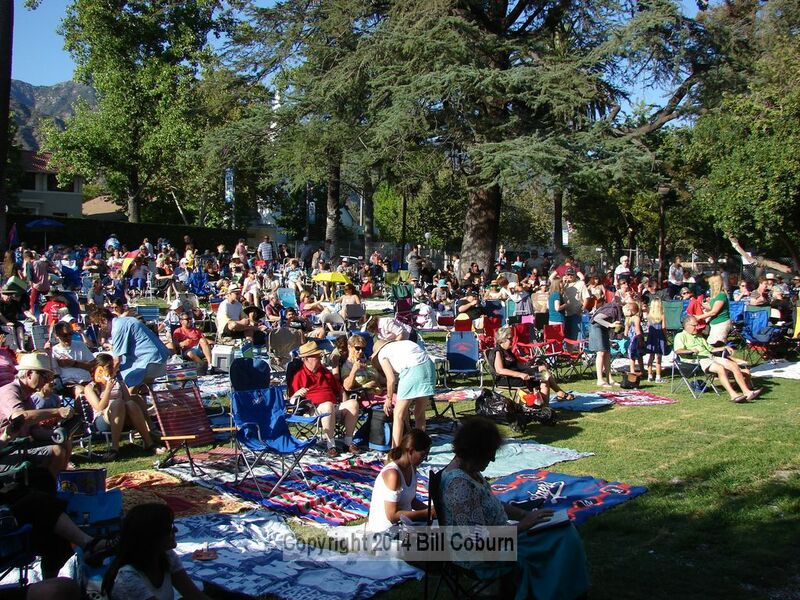 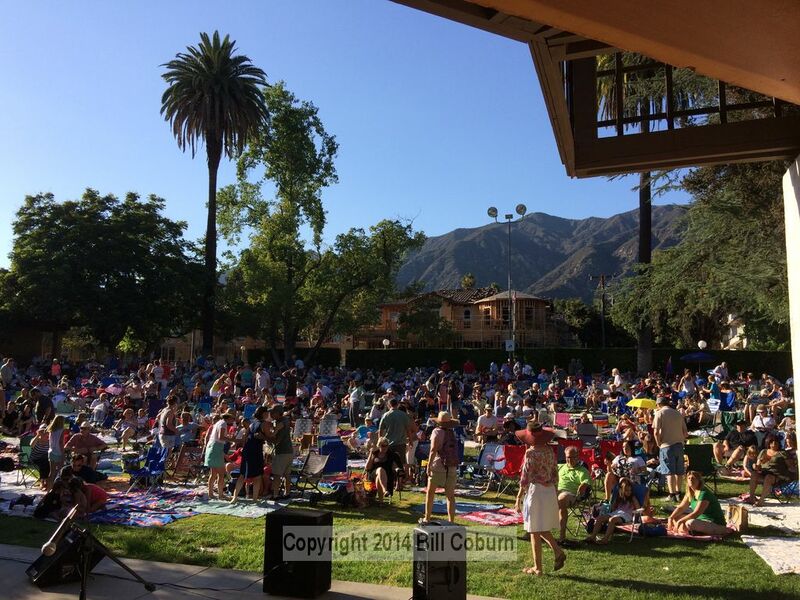 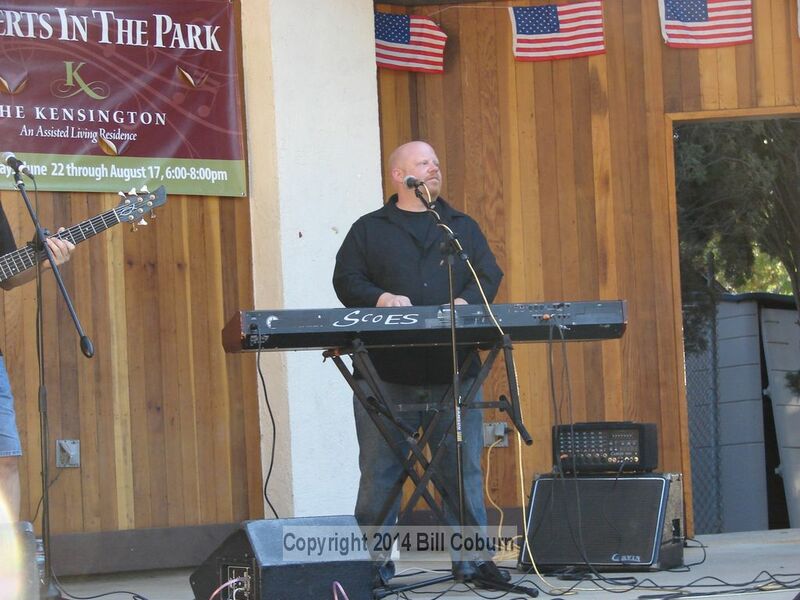 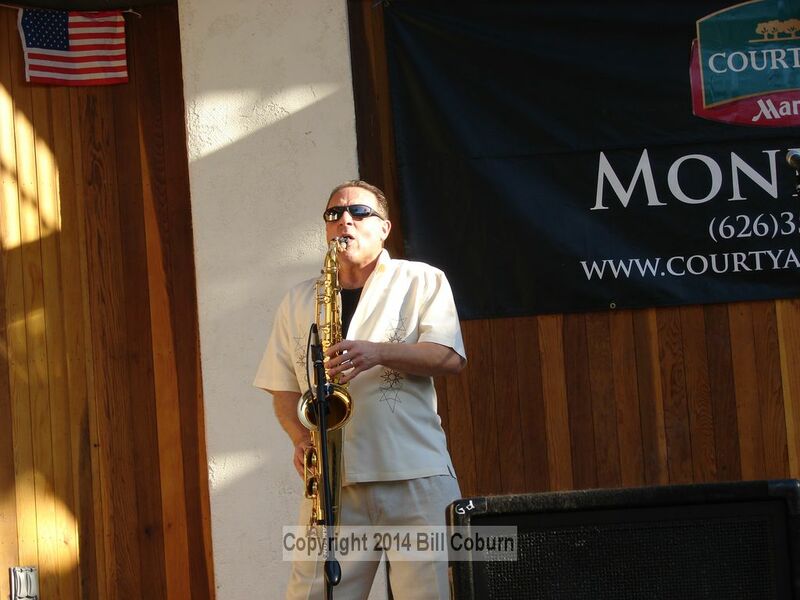 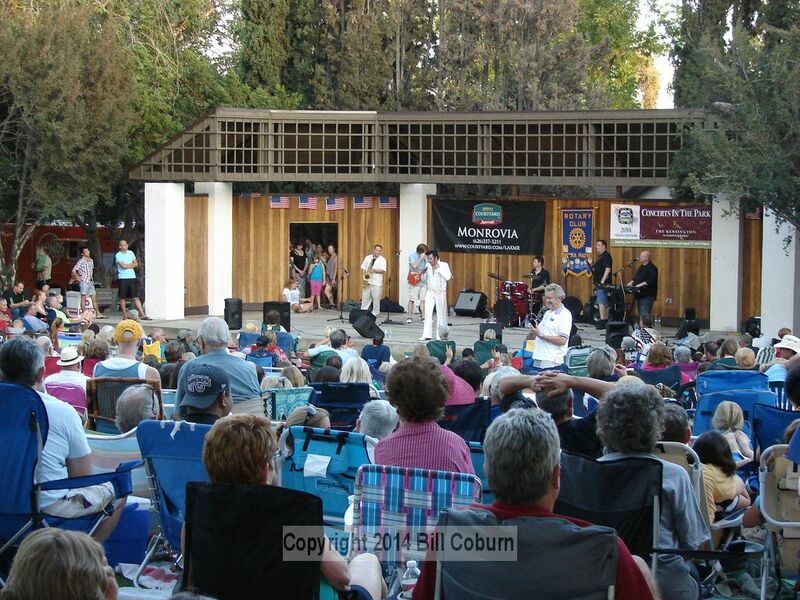 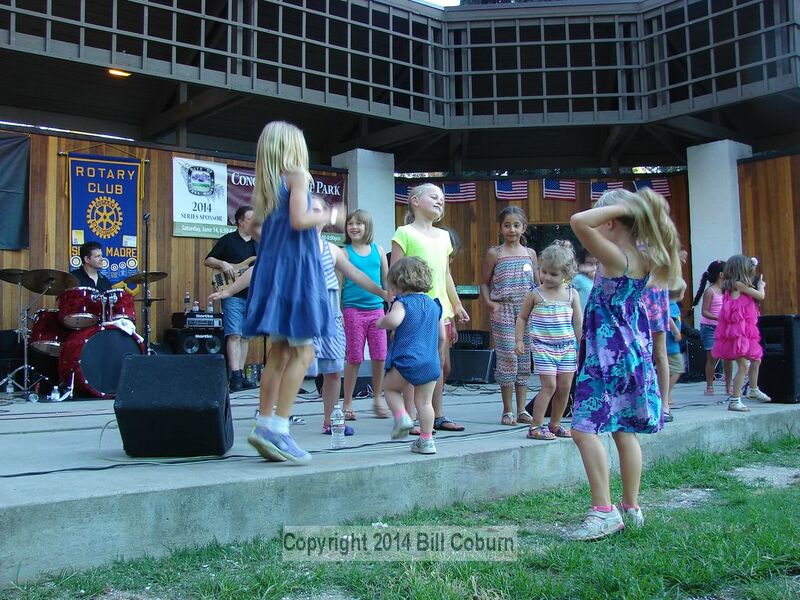 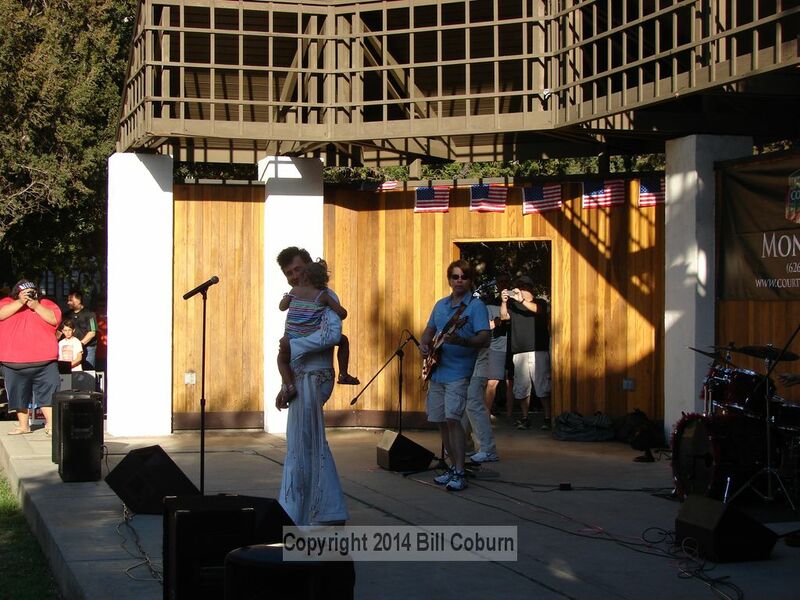 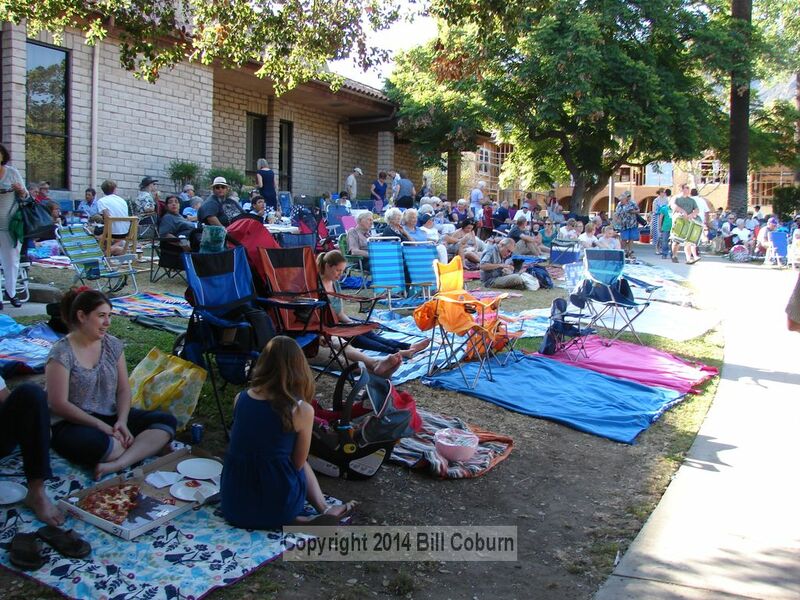 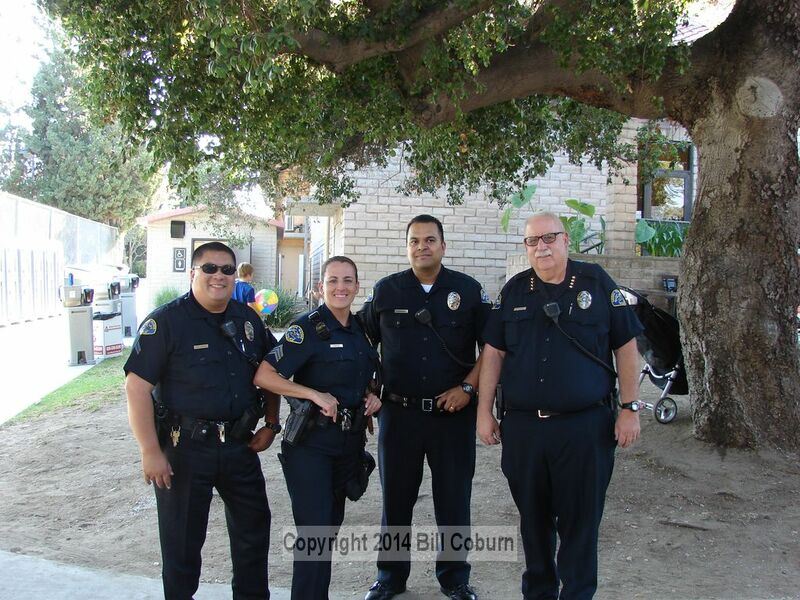 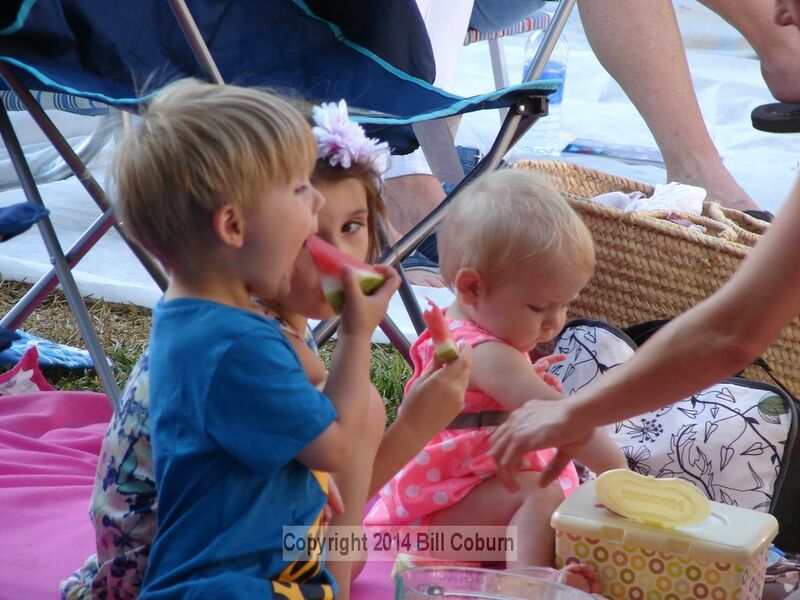 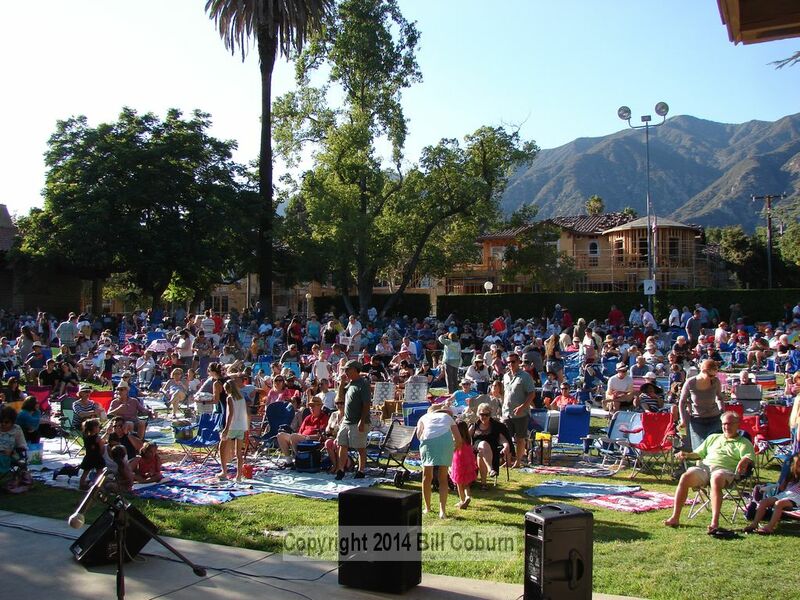 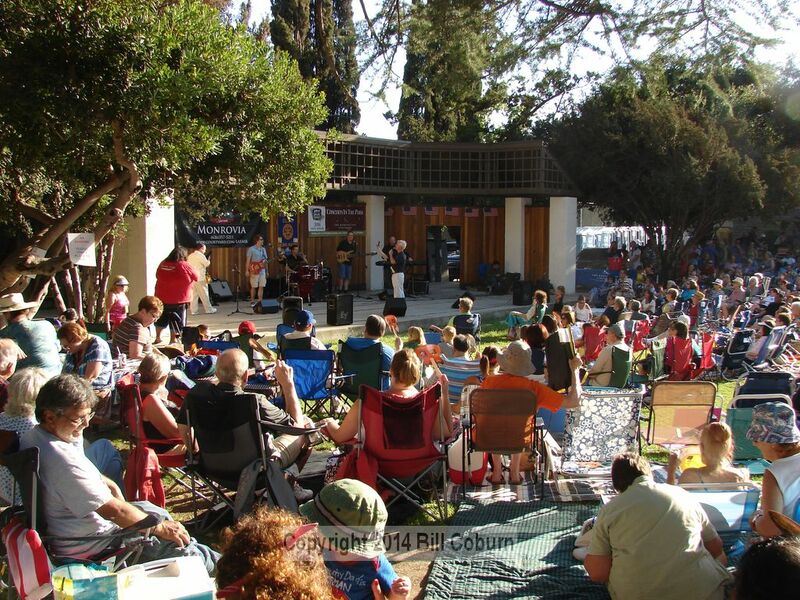 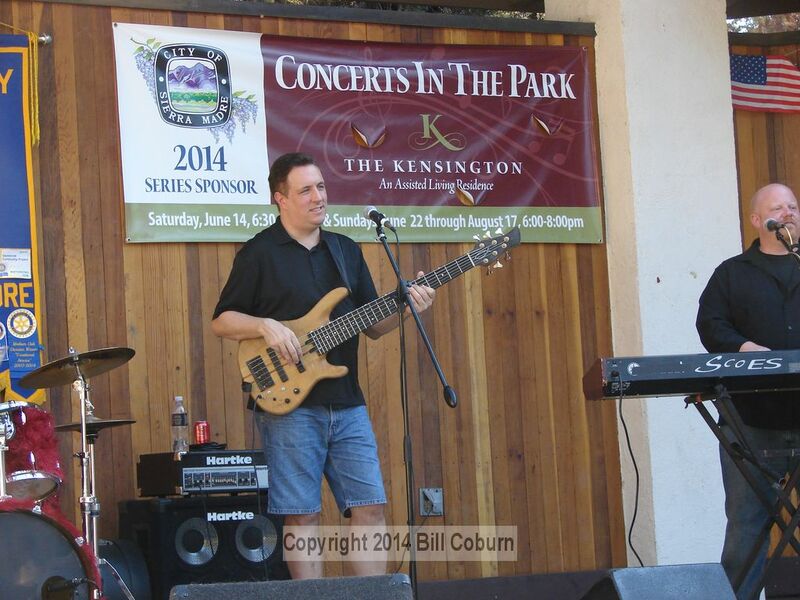 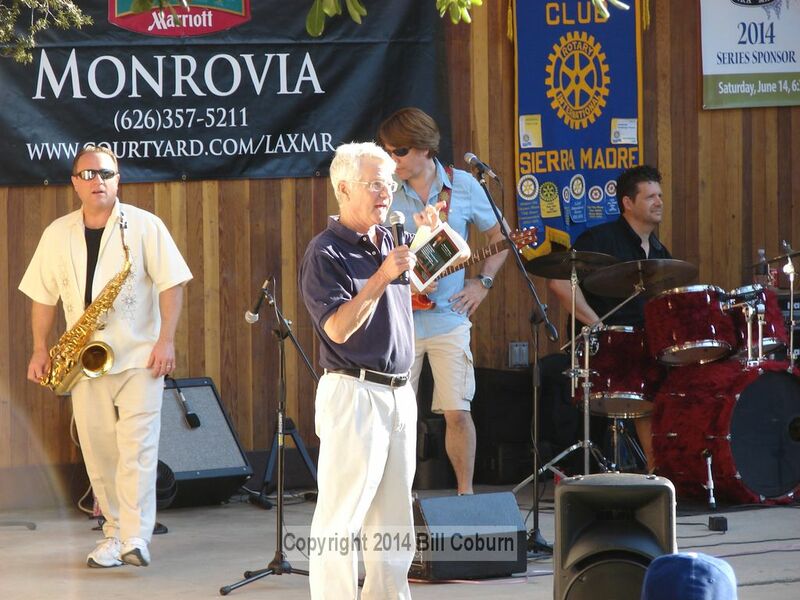 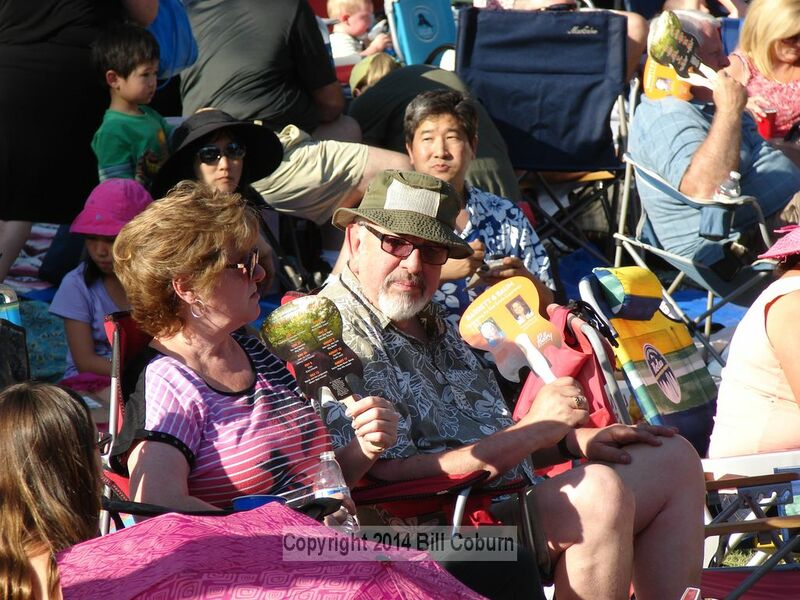 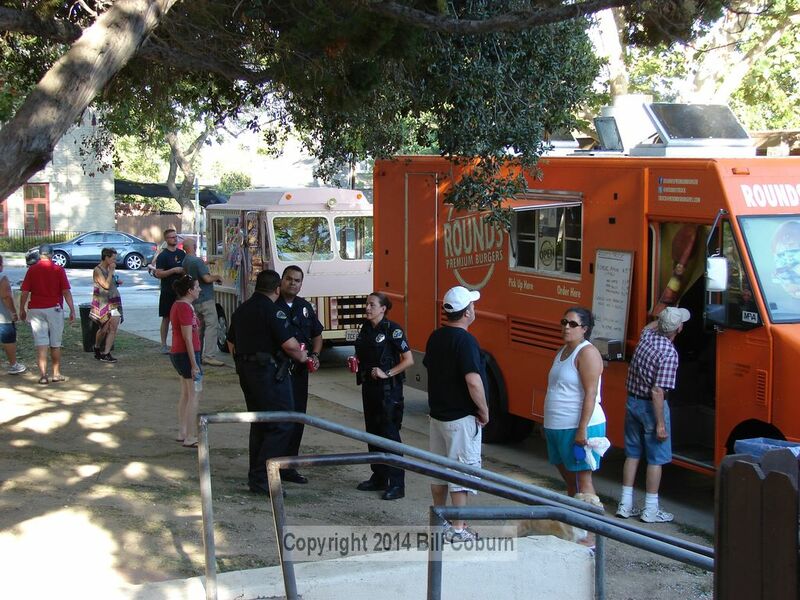 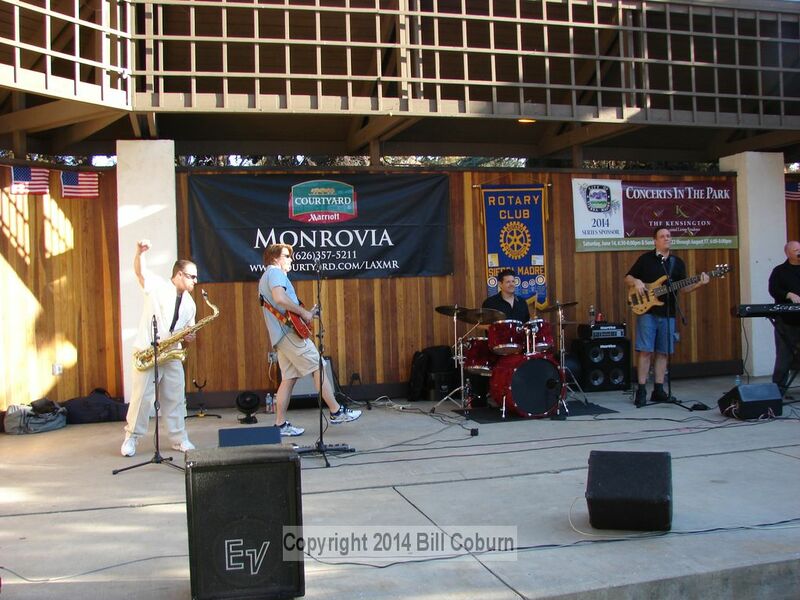 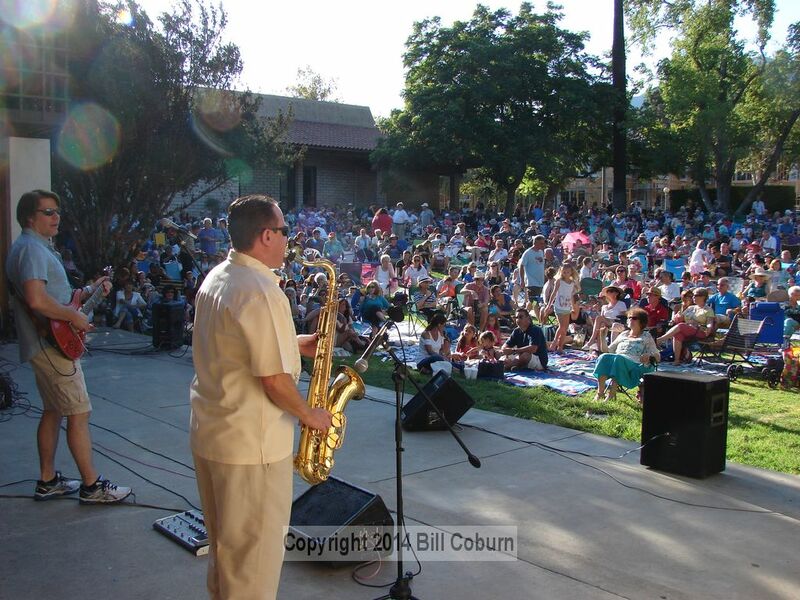 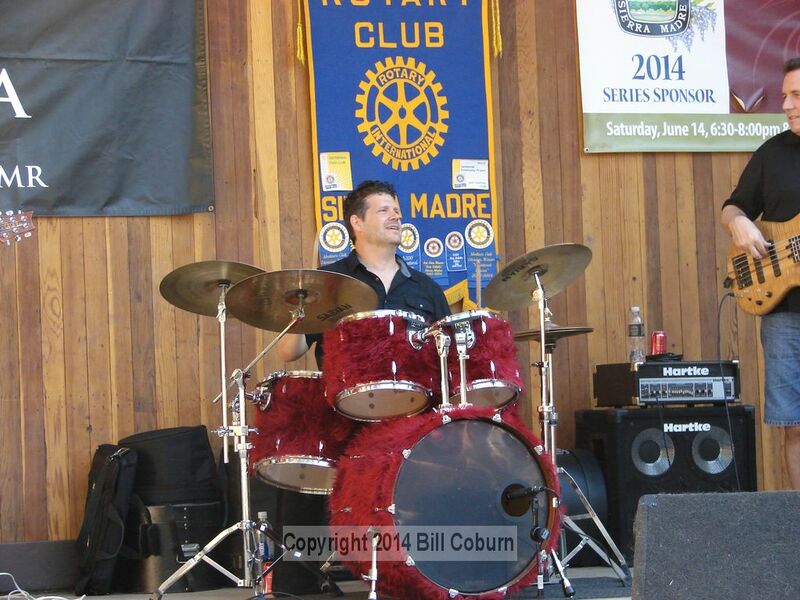 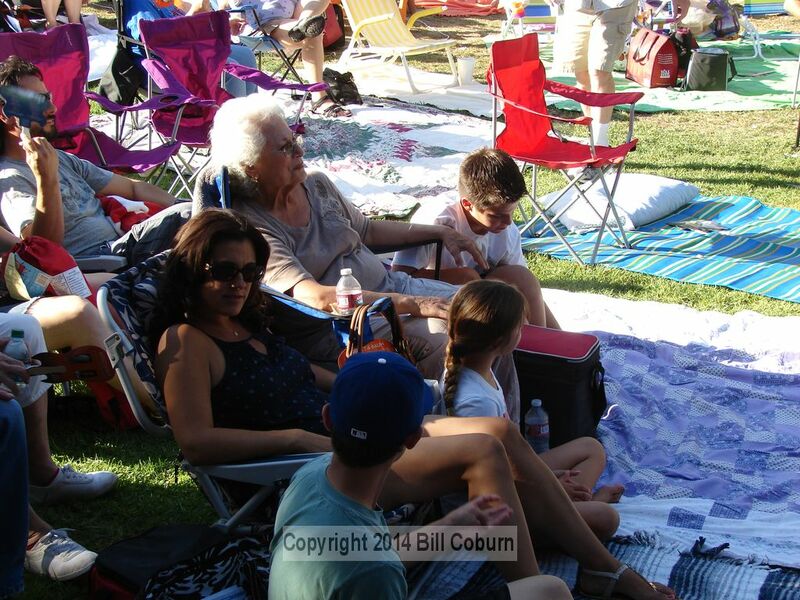 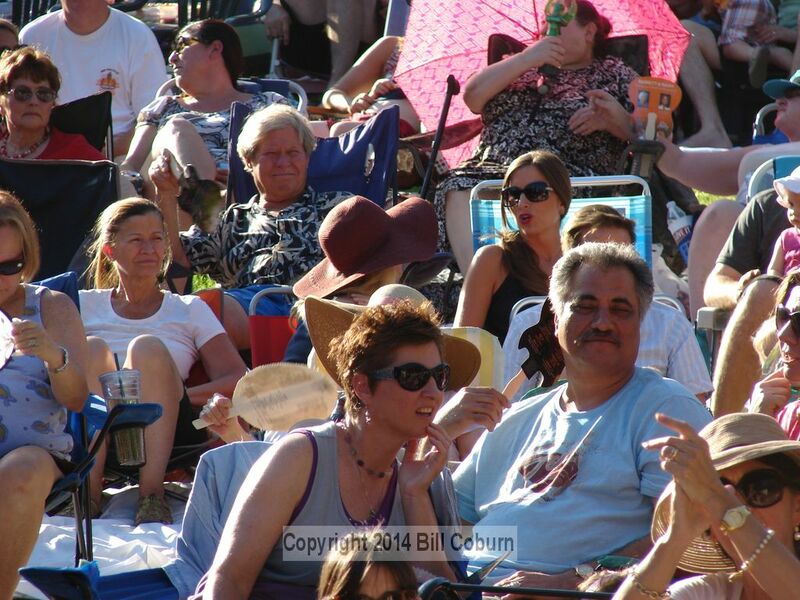 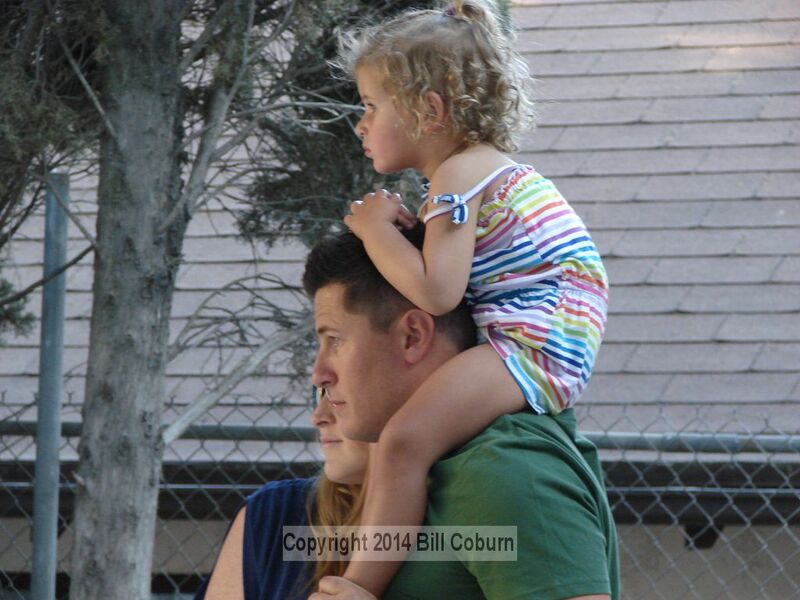 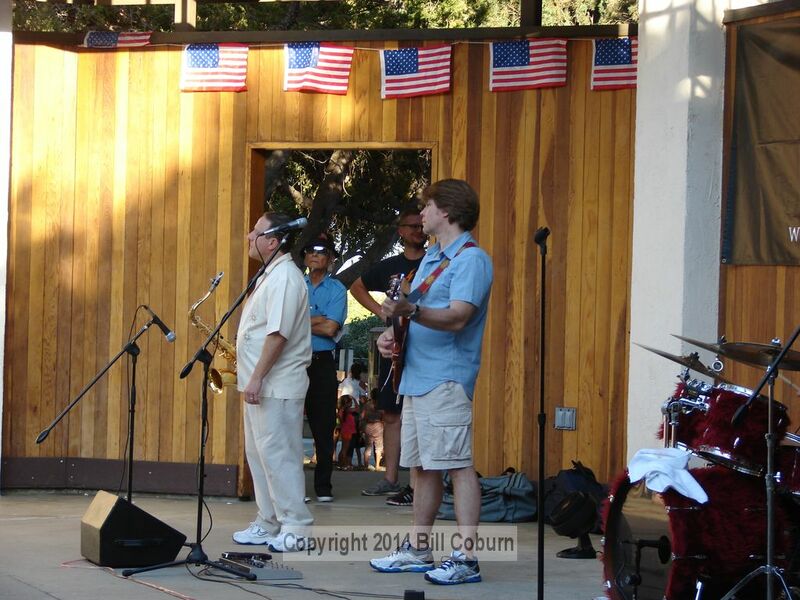 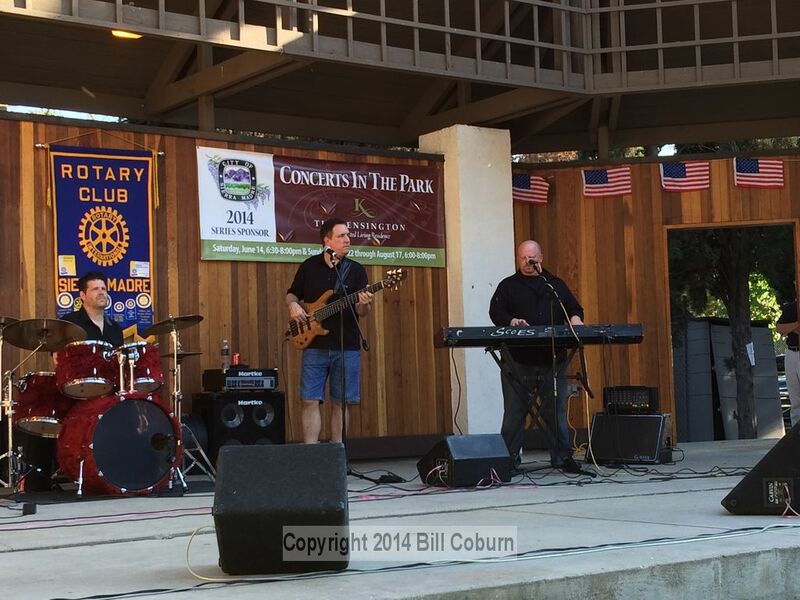 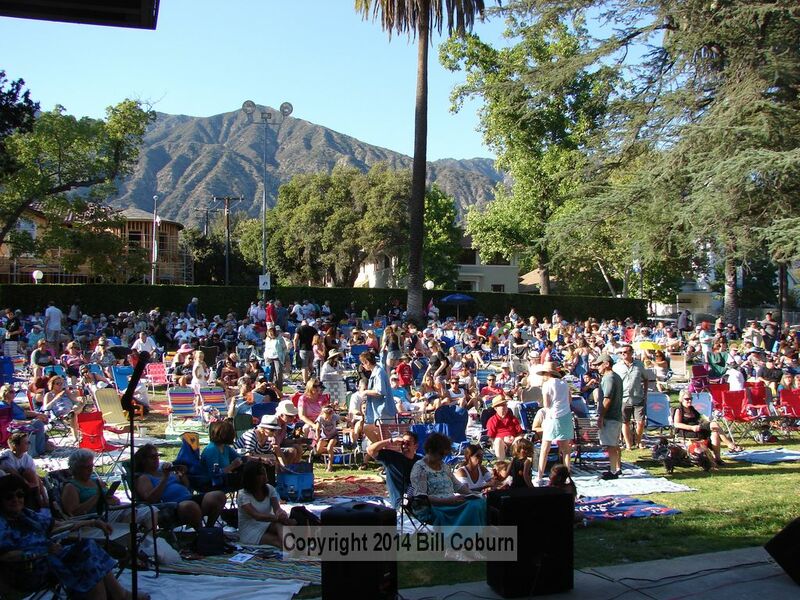 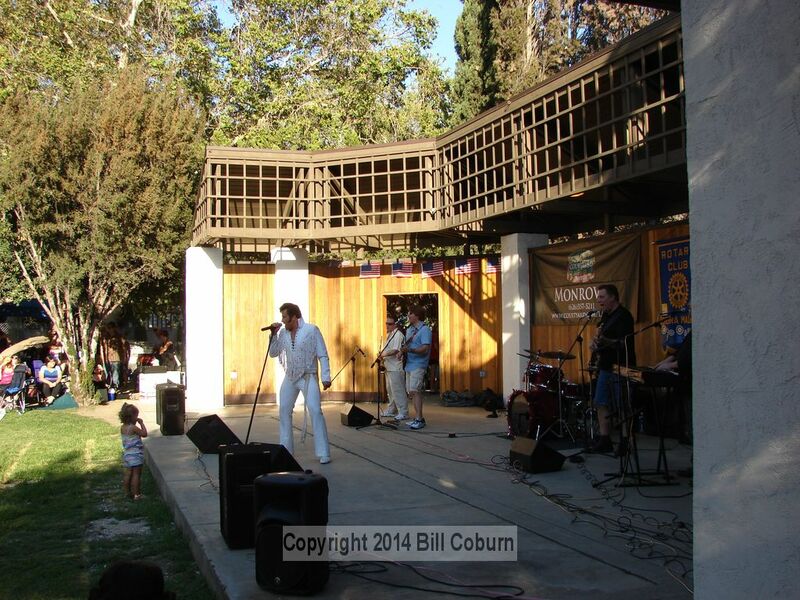 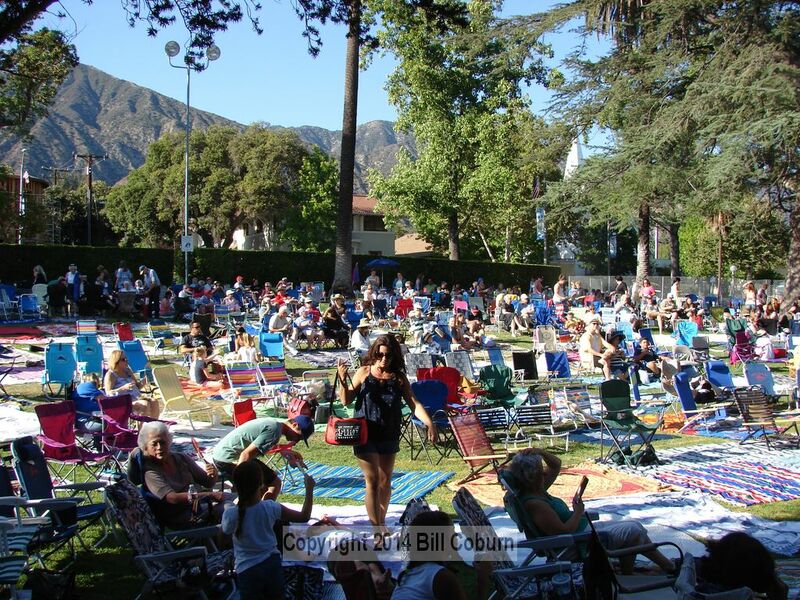 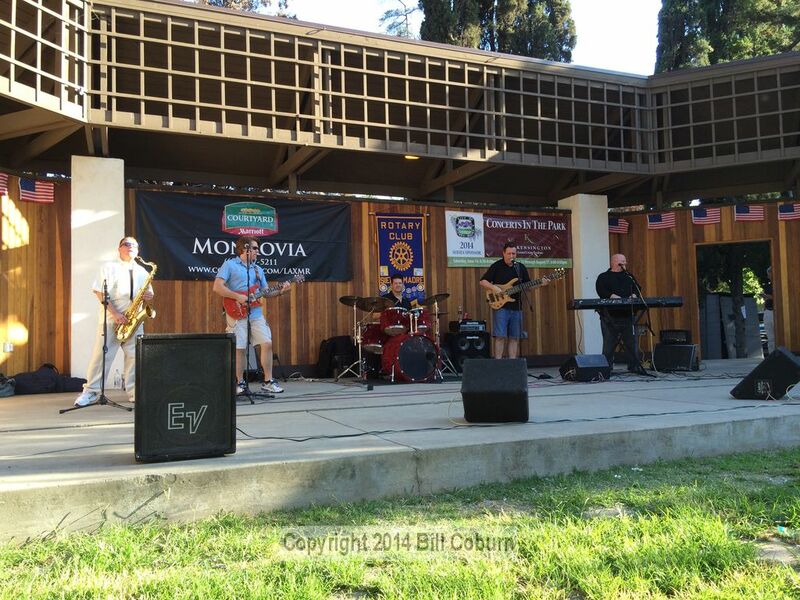 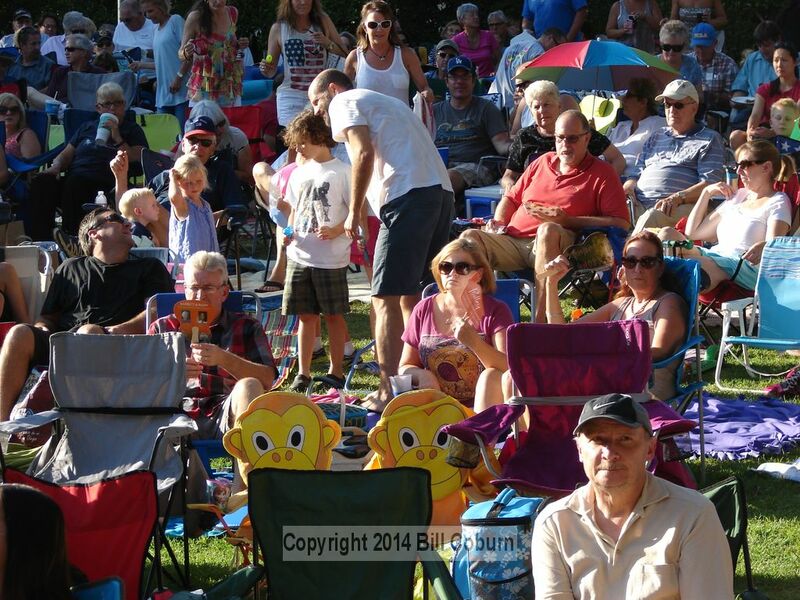 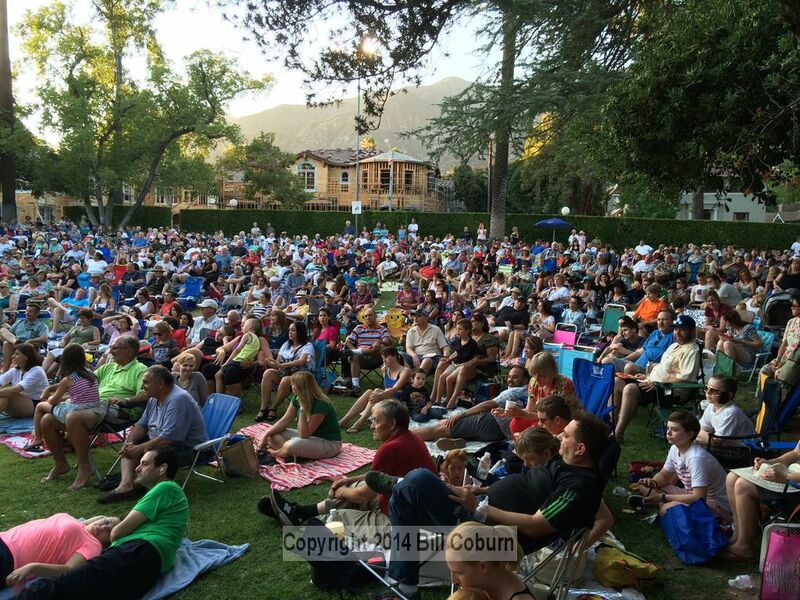 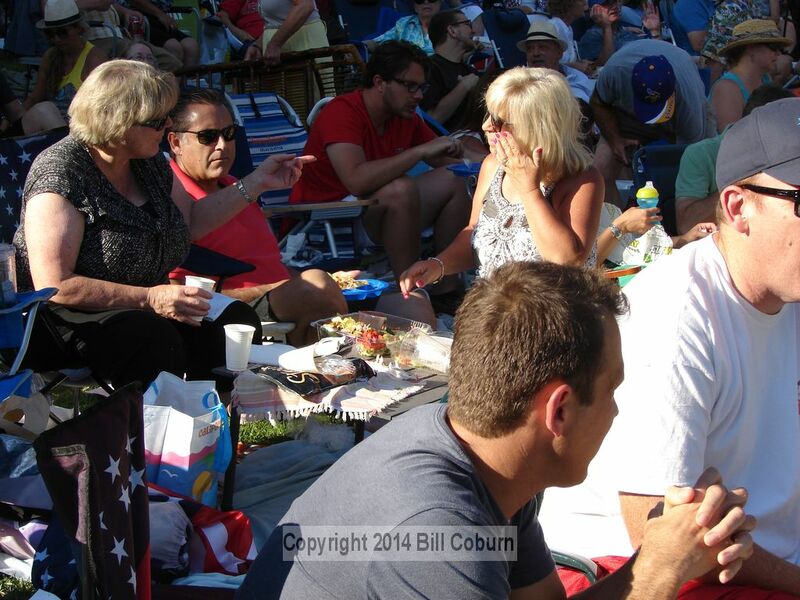 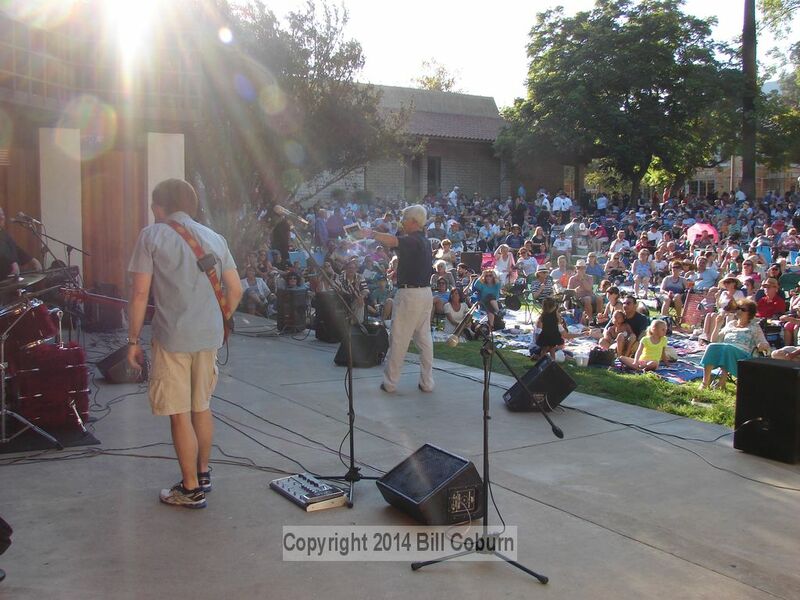 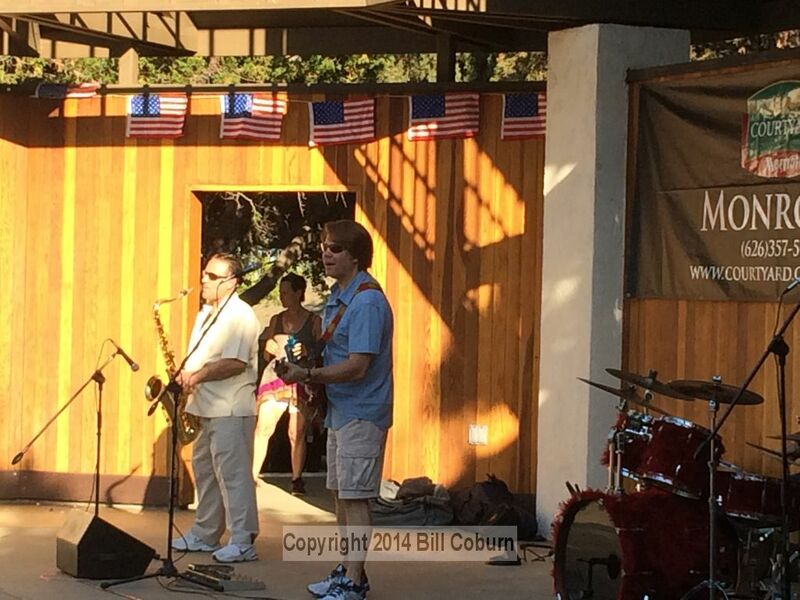 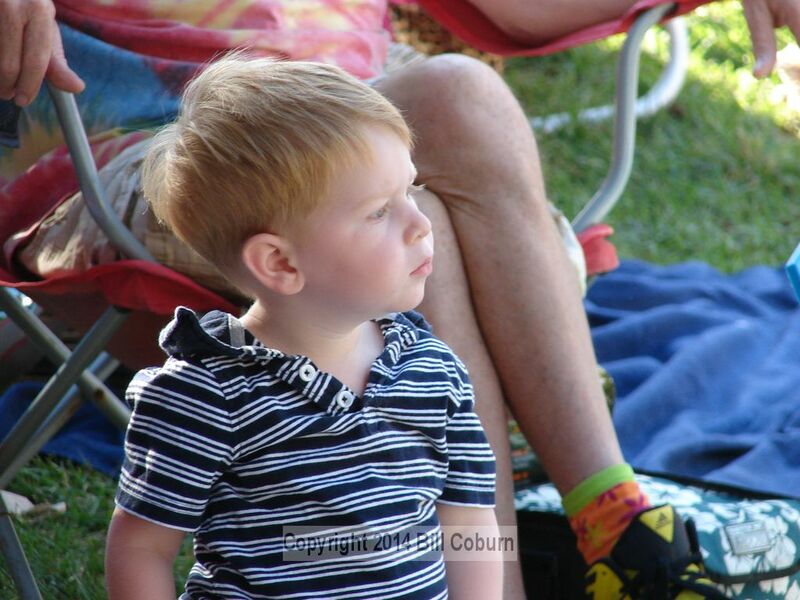 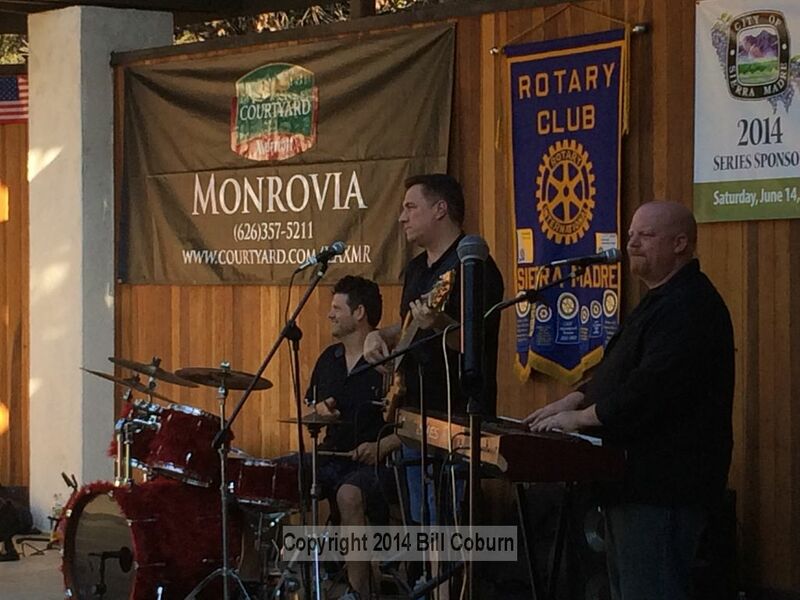 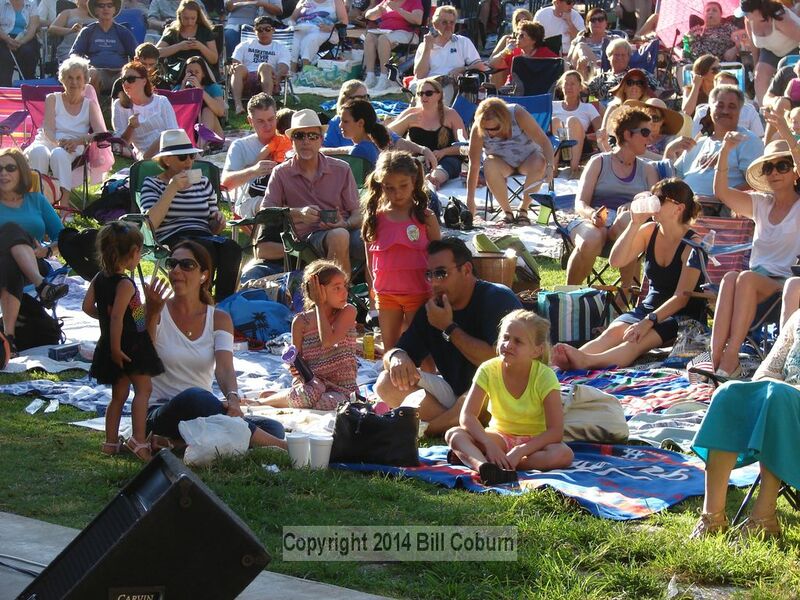 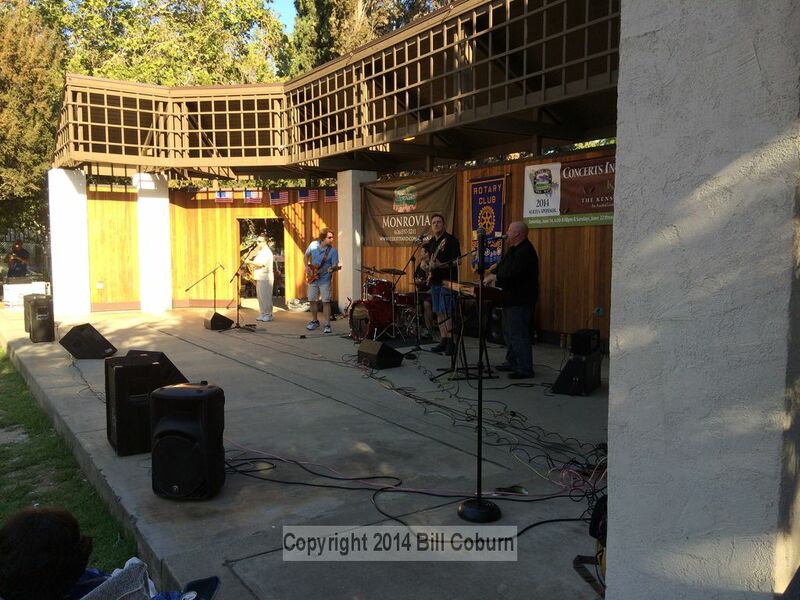 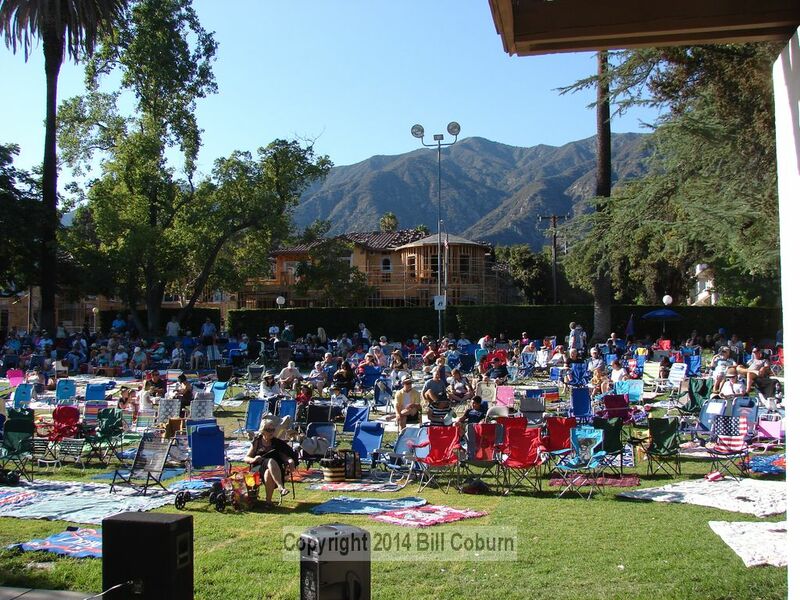 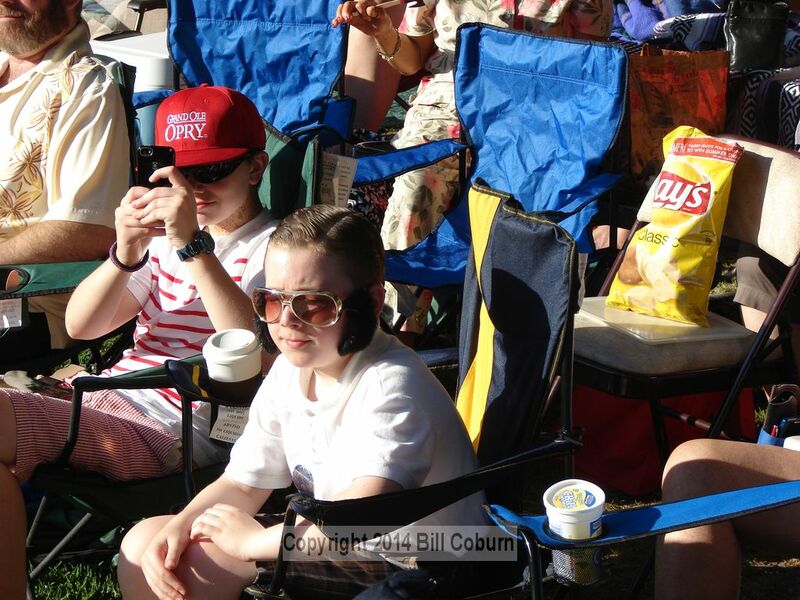 His appearance, backed by some of Vegas best musicians, was sponsored by the Sierra Madre Rotary Club as part of the Summer Concerts in the Park series, which in turn is sponsored by The Kensington. Harry’s 7-year old daughter Hannah and 2-year old daughter Grace, spent some quality time on stage with Daddy, and were joined by a couple dozen more kids during a medley of Jailhouse Rock, Hound Dog, Long Tall Sally, Whole Lotta Shaking Goin’ On, and Tutti Frutti – as seen in the video below. 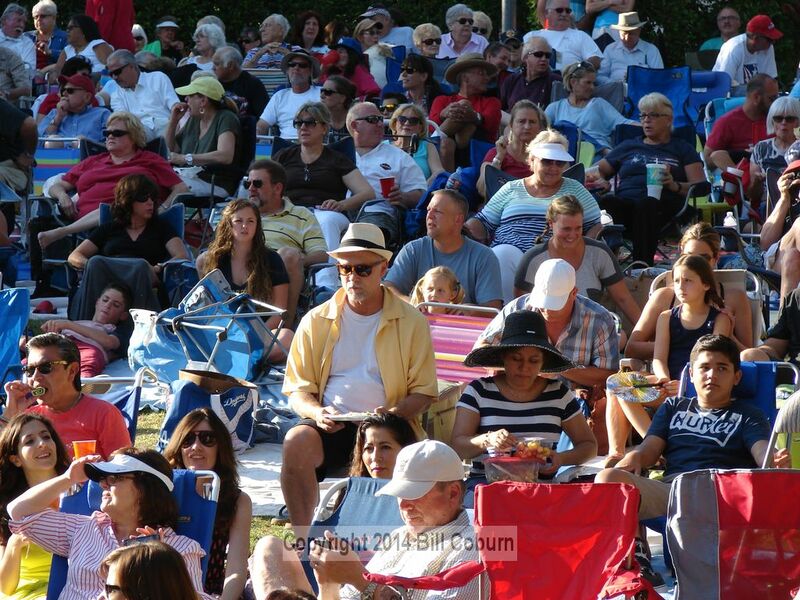 Below the video is a picture gallery, and here’s a link to eight more videos of Harry doing about a dozen or so songs.